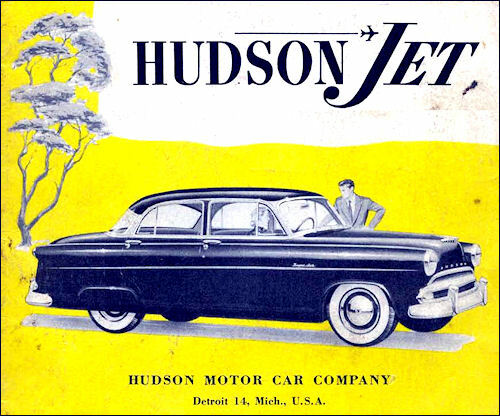 The name “Hudson” came from Joseph L. Hudson, a Detroit department store entrepreneur and founder of Hudson’s department store, who provided the necessary capital and gave permission for the company to be named after him. 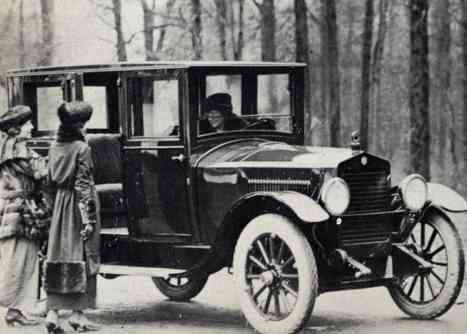 A total of eight Detroit businessmen formed the company on February 20, 1909, to produce an automobile which would sell for less than US$1,000 (equivalent to approximately $26,248 in today’s funds). 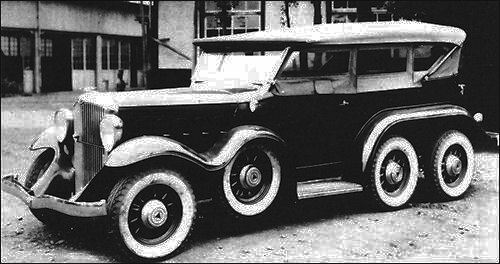 One of the chief “car men” and organizer of the company was Roy D. Chapin, Sr., a young executive who had worked with Ransom E. Olds. 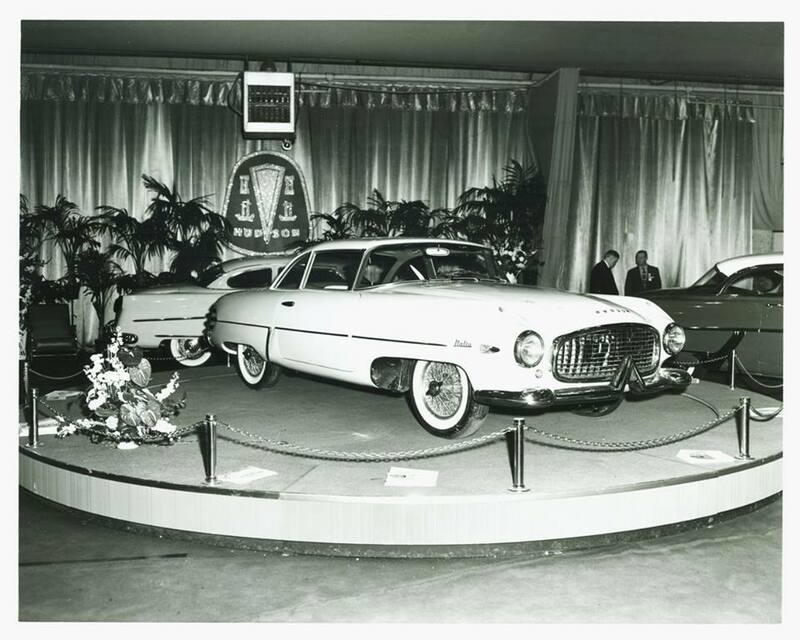 (Chapin’s son, Roy Jr., would later be president of Hudson-Nash descendant American Motors Corp. in the 1960s). 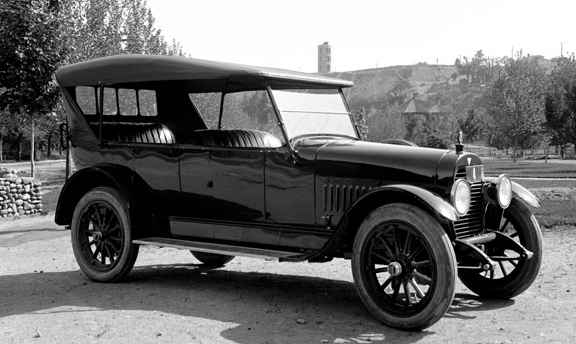 The company quickly started production, with the first car driven out of a small factory in Detroit on July 3, 1909. 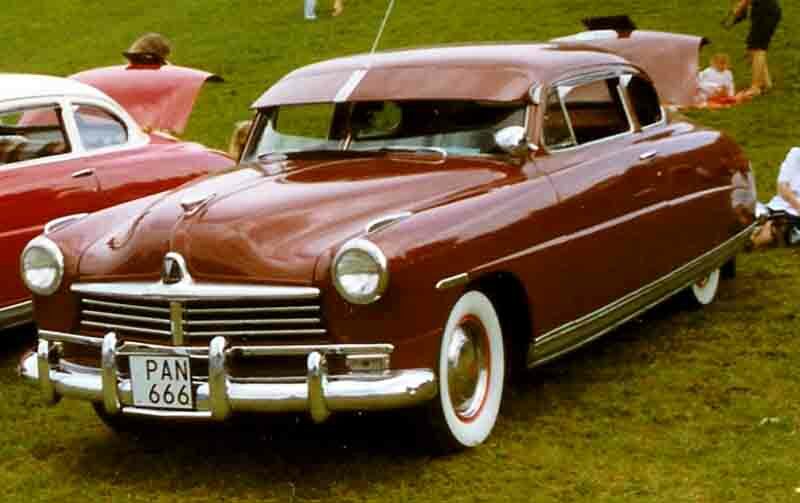 The new Hudson “Twenty” was one of the first low-priced cars on the American market and very successful with more than 4,000 sold the first year. 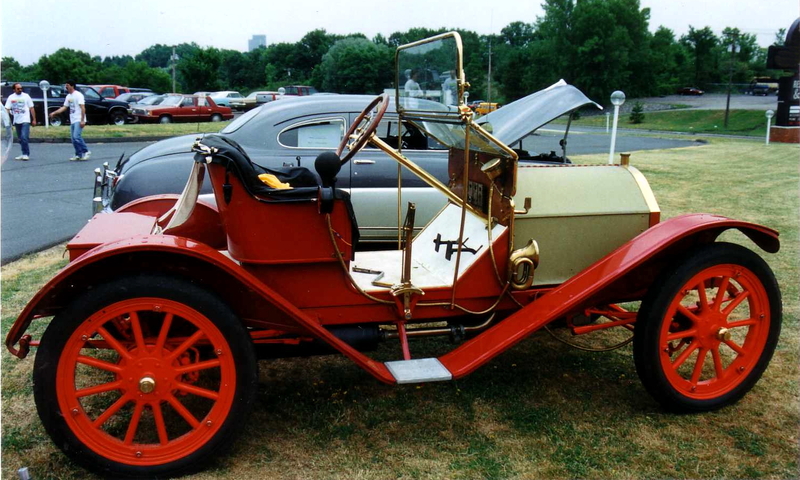 The 4,508 units made in 1910 was the best first year’s production in the history of the automobile industry and put the newly formed company in 17th place industry-wide, “a remarkable achievement at a time” because there were hundreds of makes being marketed. 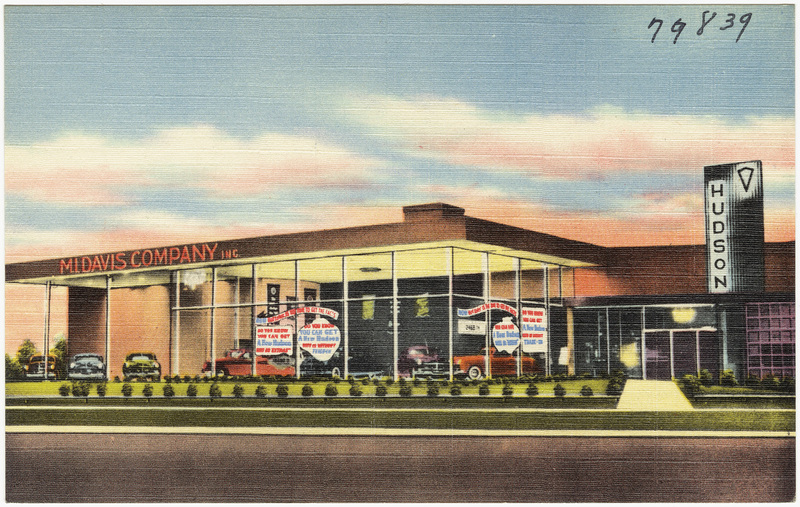 Because of this sales success a new plant was built on a 22 acre parcel at Jefferson Avenue and Conner Avenue in Detroit’s Fairview section that was diagonally across from the Chalmers Automobile plant. 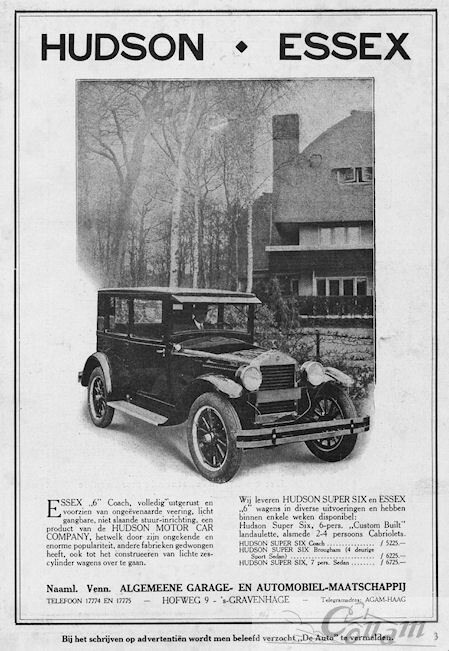 The land was the former farm of D. J. Campau. 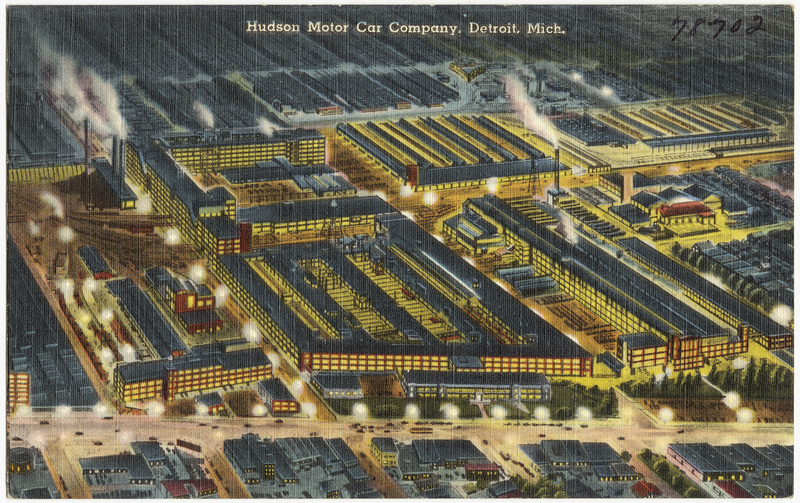 It was designed by the firm of renowned industrial architect Albert Kahn with 223,500 square feet and opened on October 29, 1910. 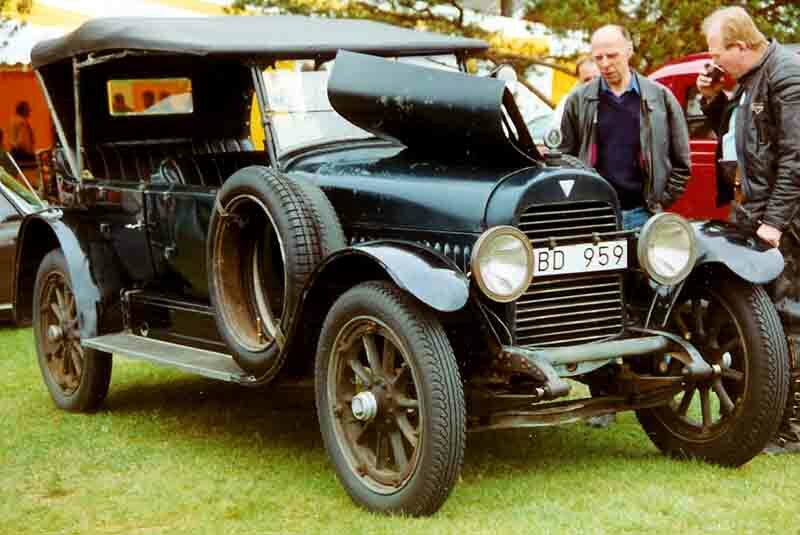 Production in 1911 increased to 6,486. 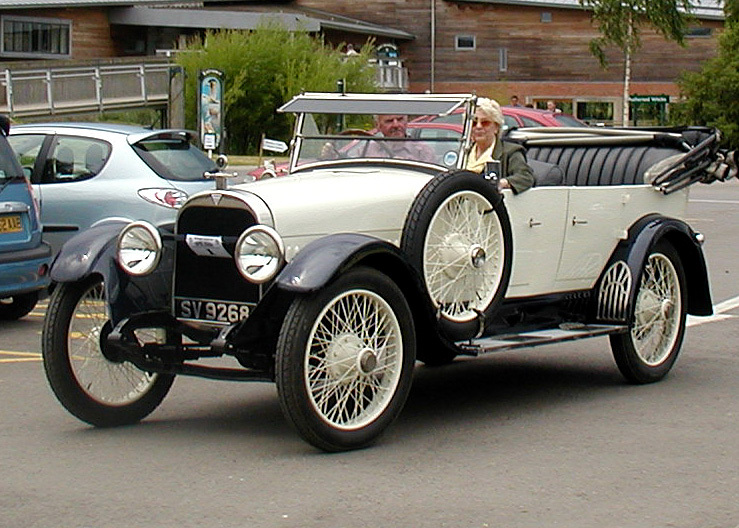 For 1914 Hudsons for the American market were now left hand drive. 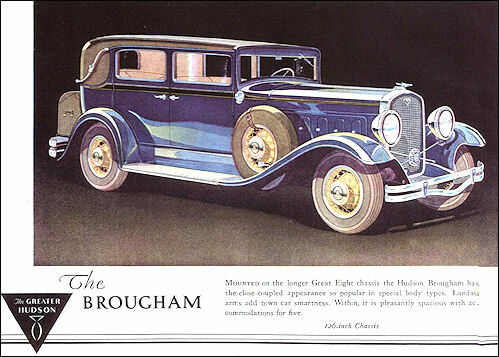 The company had a number of firsts for the auto industry; these included dual brakes, the use of dashboard oil-pressure and generator warning lights, and the first balanced crankshaft, which allowed the Hudson straight-six engine, dubbed the “Super Six” (1916), to work at a higher rotational speed while remaining smooth, developing more power for its size than lower-speed engines. 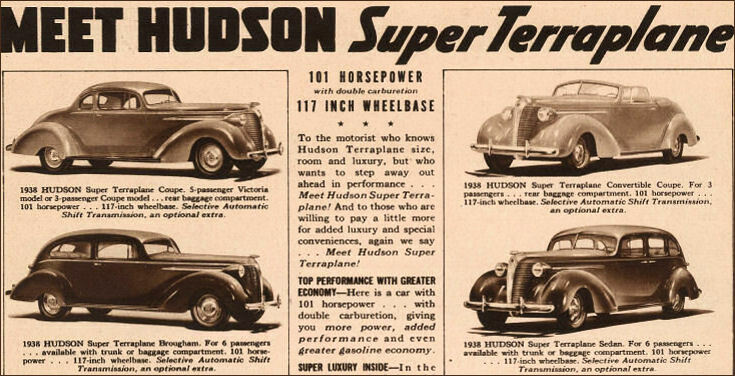 The Super Six was the first engine built by Hudson, previously Hudson had developed engine designs and then had them manufactured by Continental Motors Company. 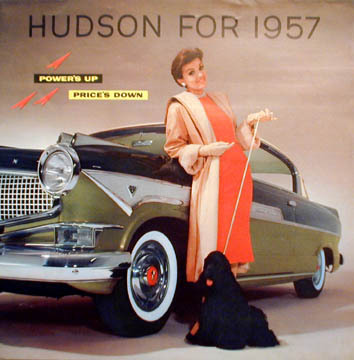 Most Hudsons until 1957 had straight-6 engines. 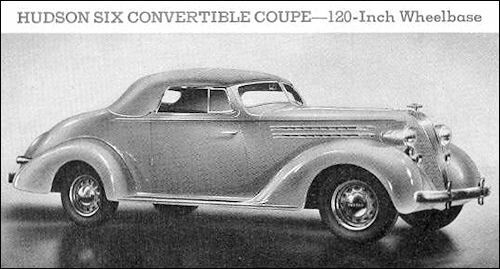 The dual brake system used a secondary mechanical emergency brake system, which activated the rear brakes when the pedal traveled beyond the normal reach of the primary system; a mechanical parking brake was also used. 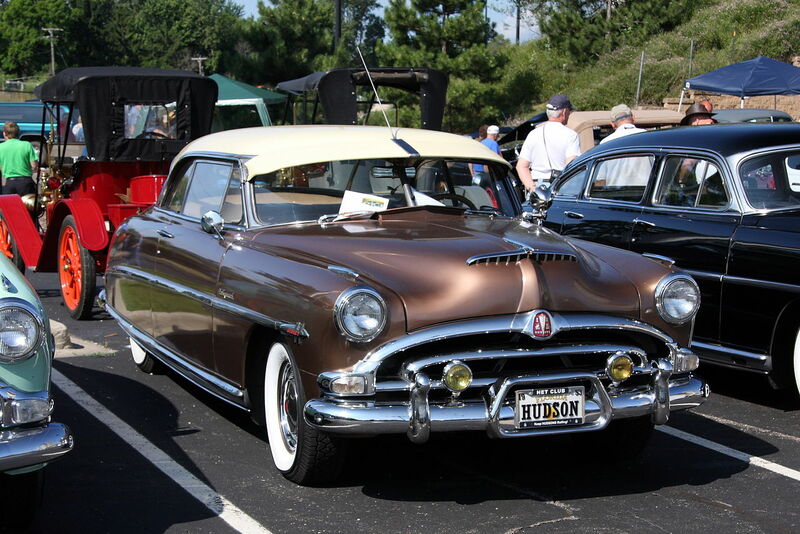 Hudson transmissions also used an oil bath and cork clutch mechanism that proved to be as durable as it was smooth. 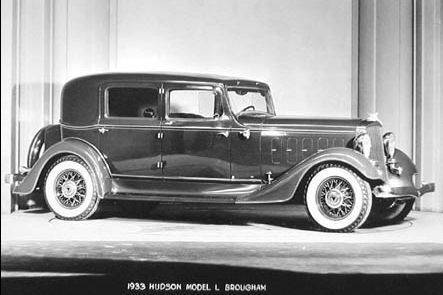 On 1 July 1926, Hudson’s new 10 million dollar body plant was completed where the automaker could now build the all-steel closed bodies for both the Hudson and Essex models. 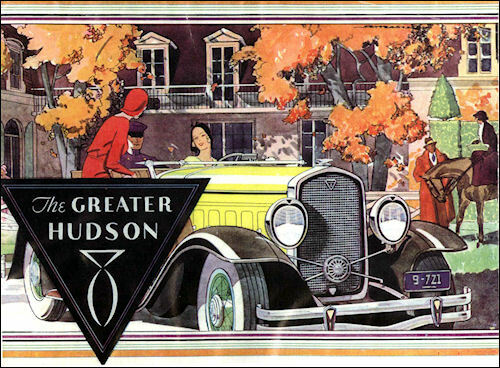 At their peak in 1929, Hudson and Essex produced a combined 300,000 cars in one year, including contributions from Hudson’s other factories in Belgium and England; a factory had been built in 1925 in Brentford in London. 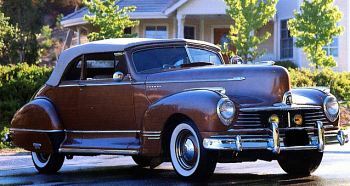 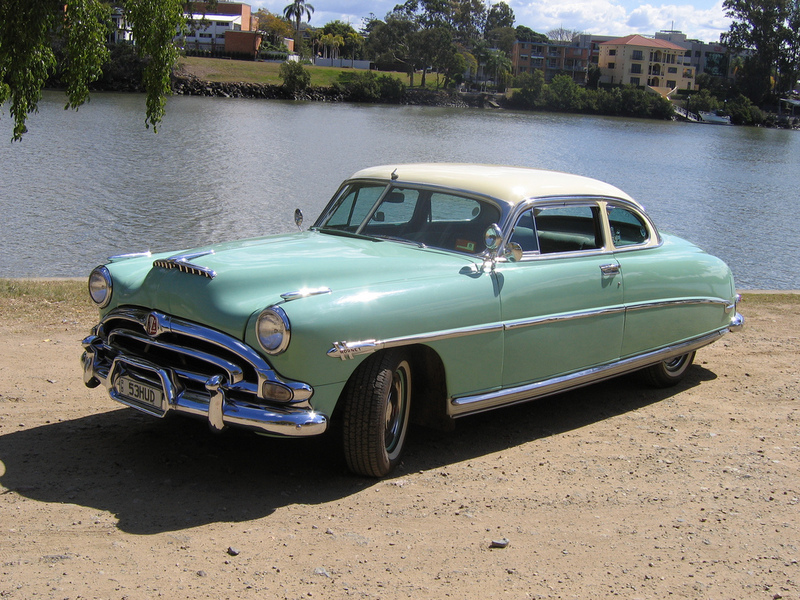 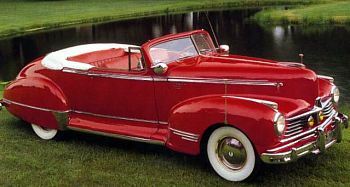 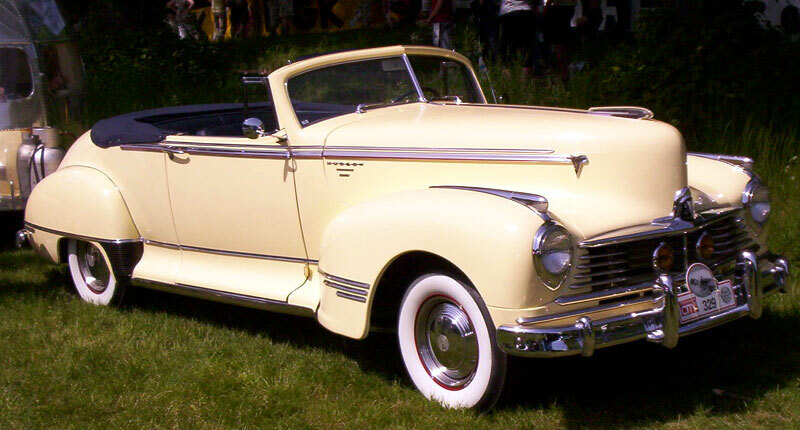 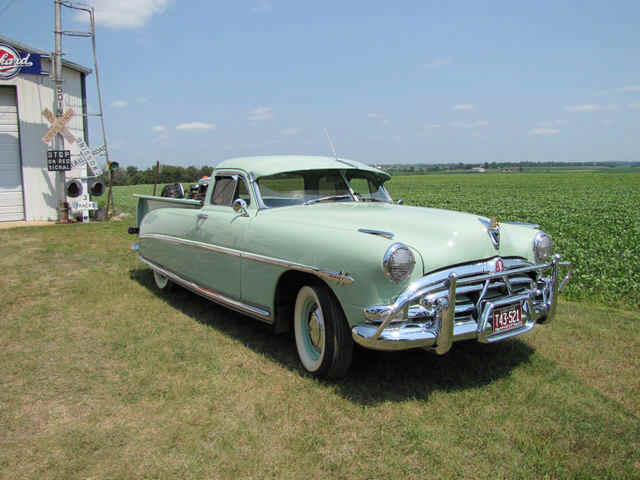 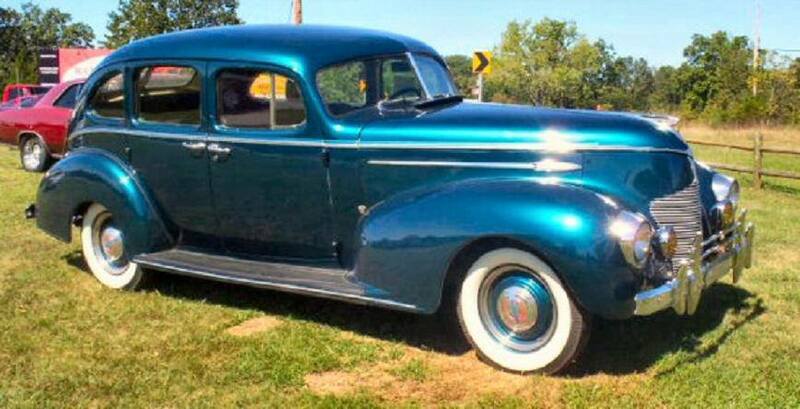 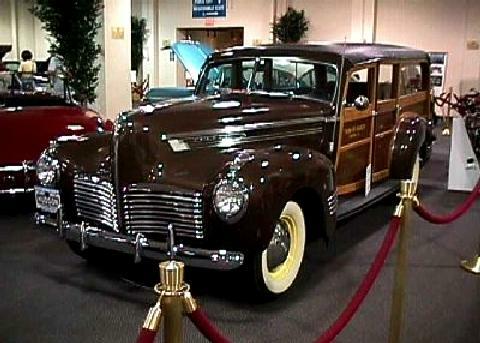 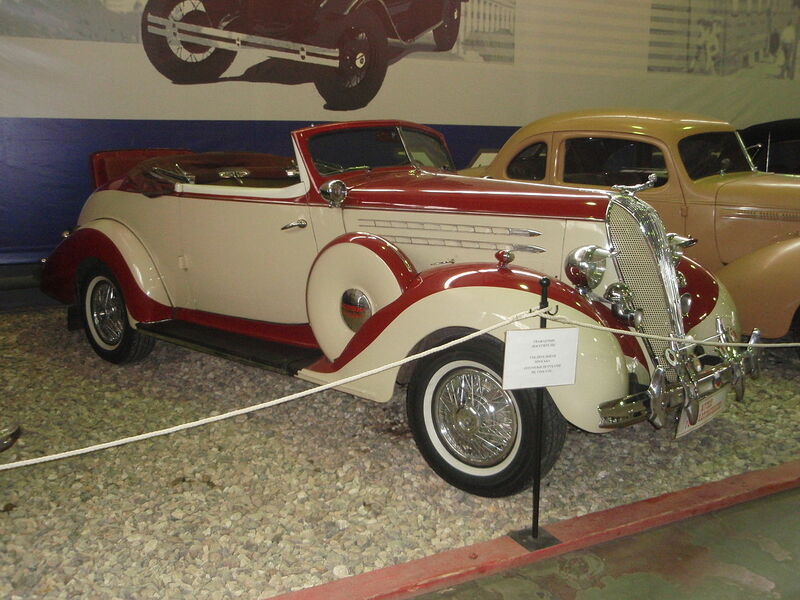 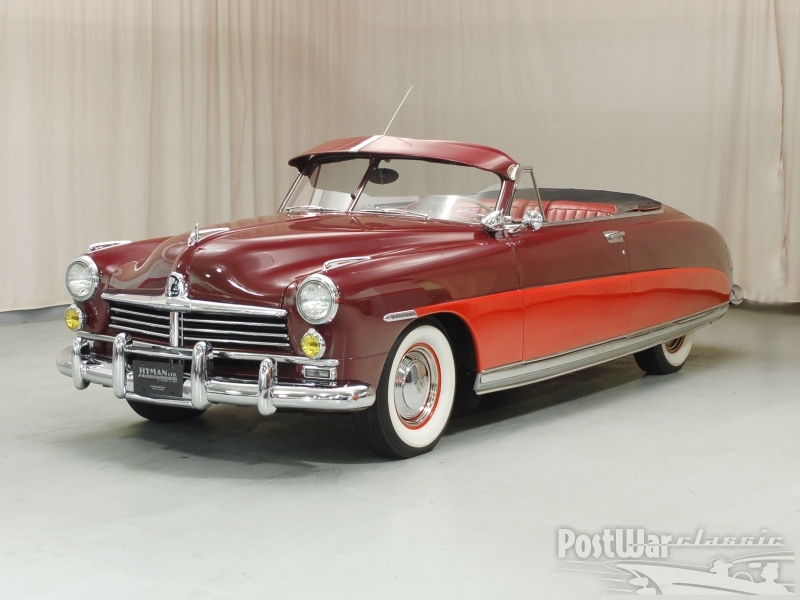 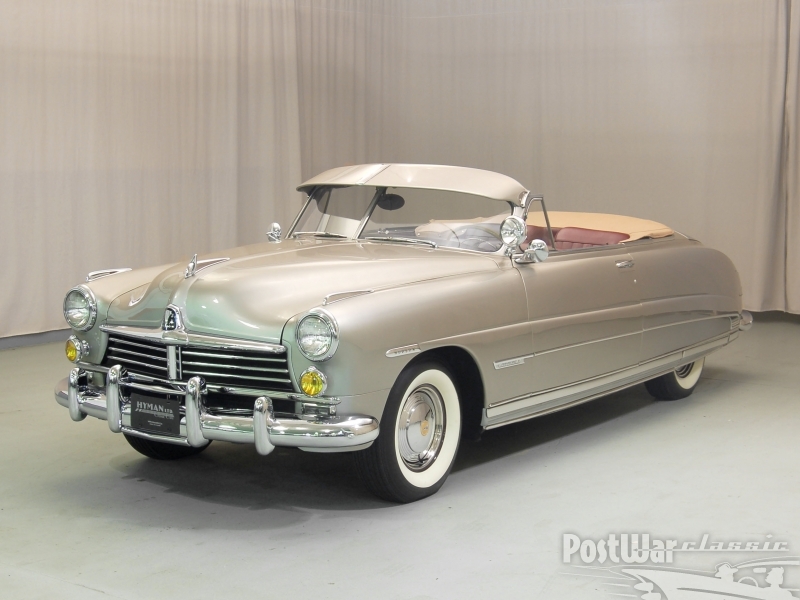 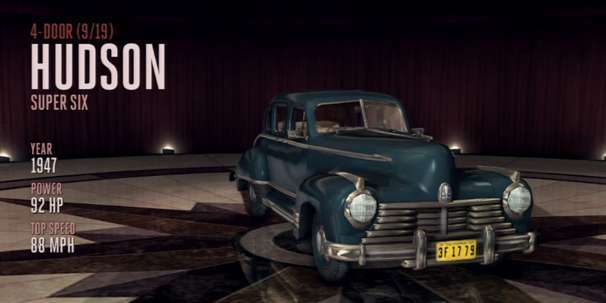 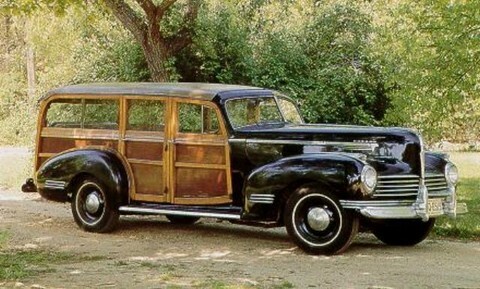 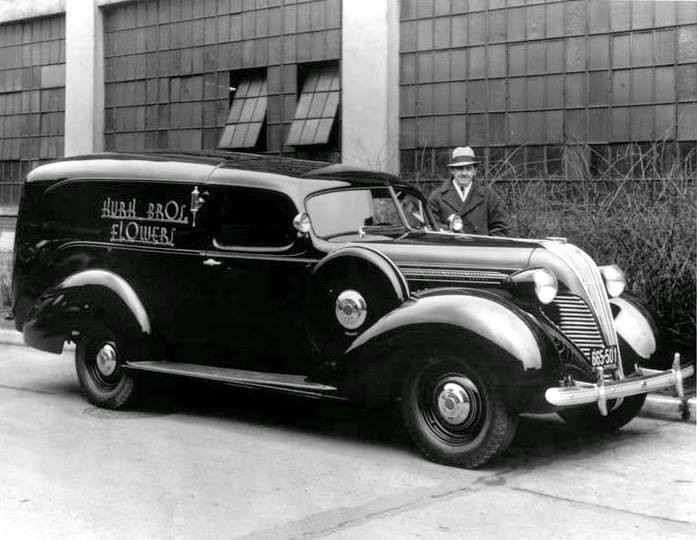 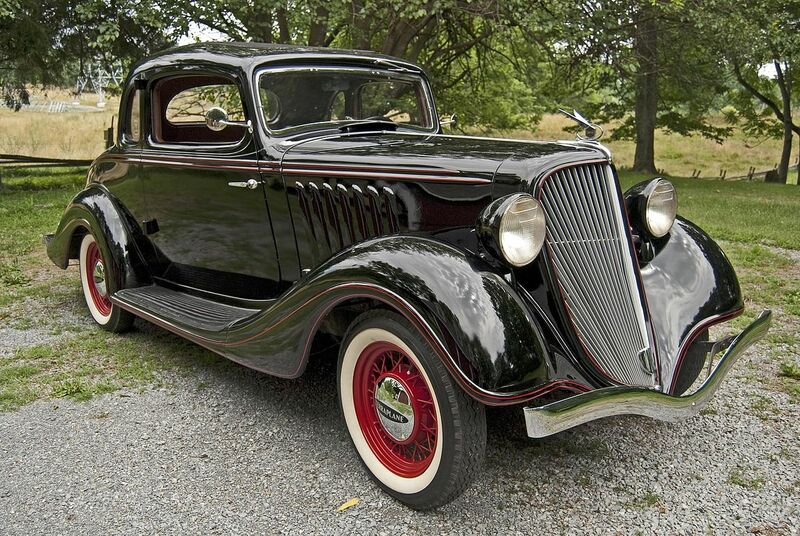 Hudson was the third largest U.S. car maker that year, after Ford Motor Company and Chevrolet. 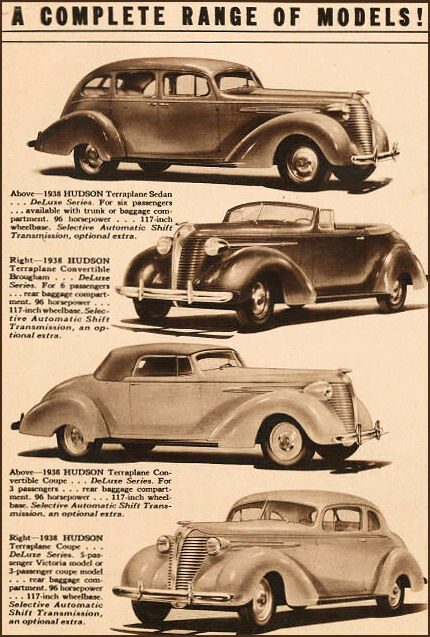 An optional accessory on some 1935-1938 Hudson and Terraplane models was a steering column-mounted electric gear pre-selector and electro-mechanical automatic shifting system, known as the “Electric Hand”, manufactured by the Bendix Corporation. 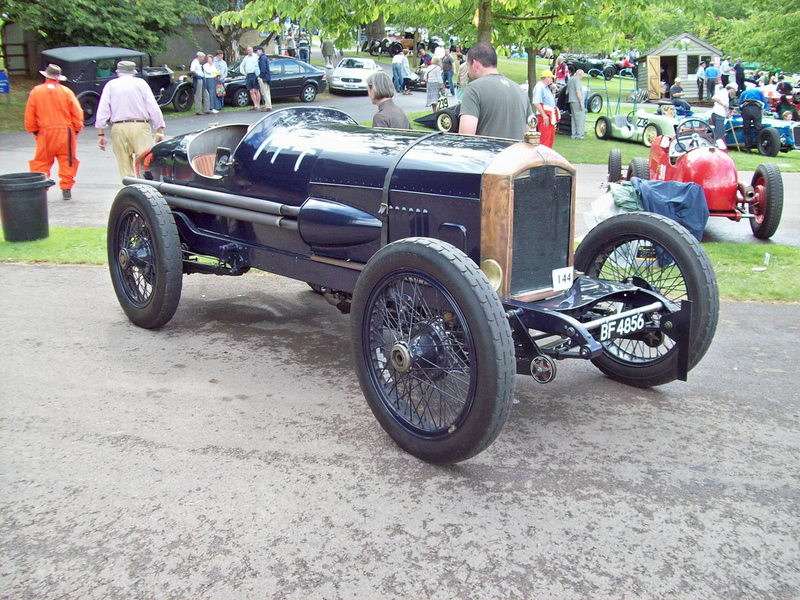 This took the place of the floor-mounted shift lever, but required conventional clutch actions. 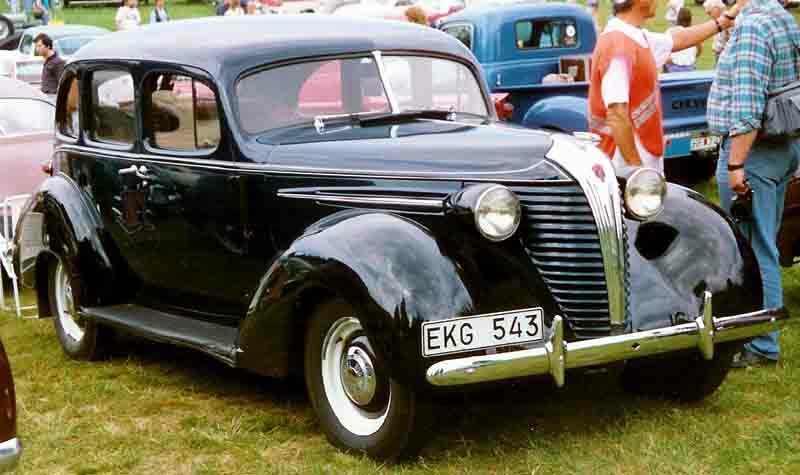 Cars equipped with Electric Hand also carried a conventional shift lever in clips under the dash, which could be pulled out and put to use in case the Electric Hand should ever fail. 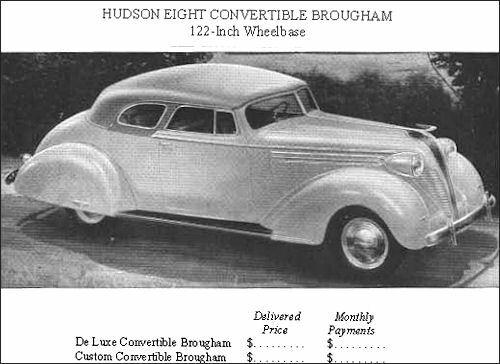 Hudson was also noted for offering an optional vacuum-powered automatic clutch, starting in the early 1930s. 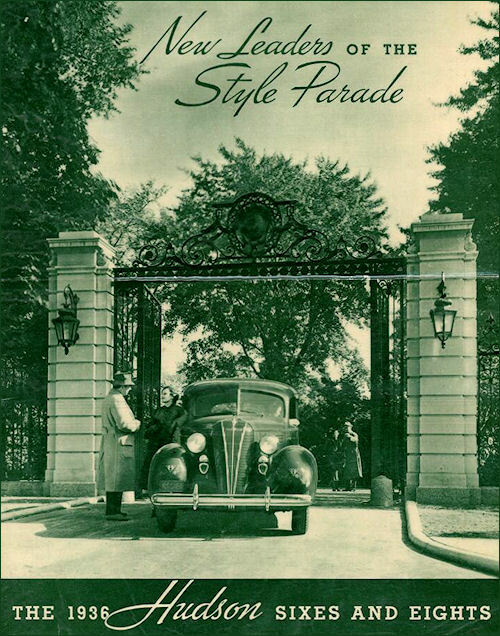 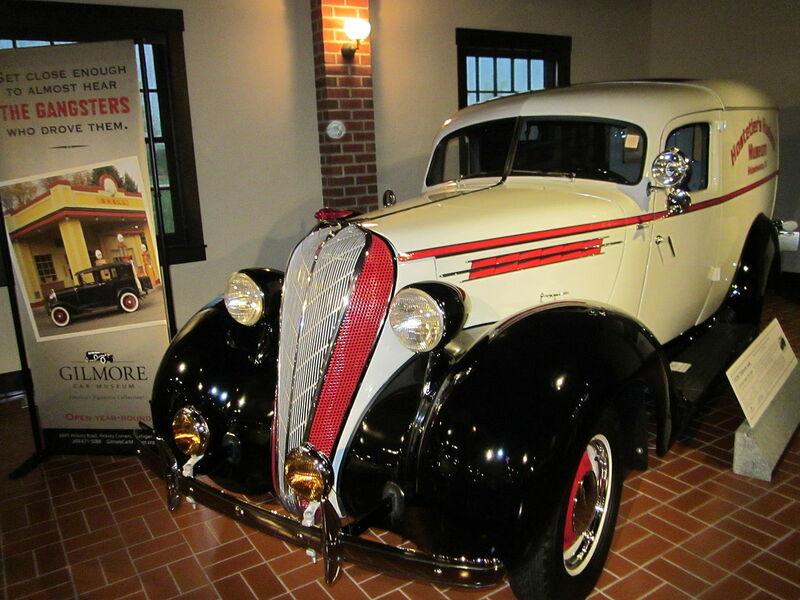 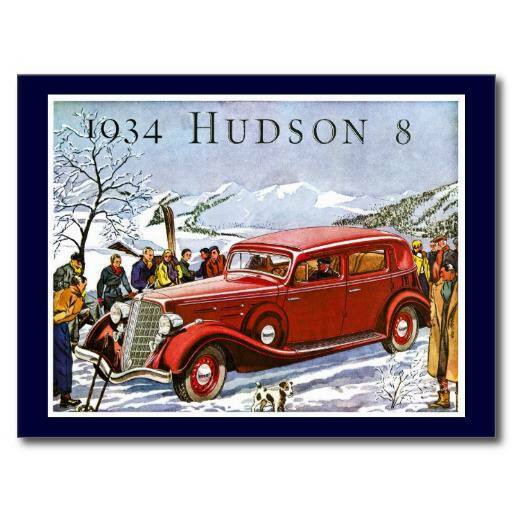 In 1936, Hudson revamped its cars, introducing a new “radial safety control” / “rhythmic ride” suspension which suspended the live front axle from two steel bars, as well as from leaf springs. 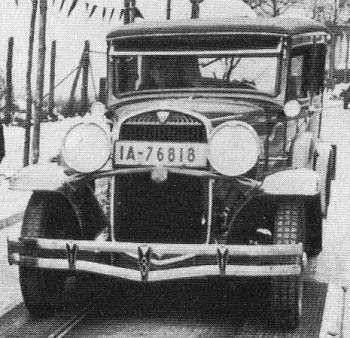 Doing this allowed the use of longer, softer leaf springs (“rhythmic ride”), and prevented bumps and braking from moving the car off course. 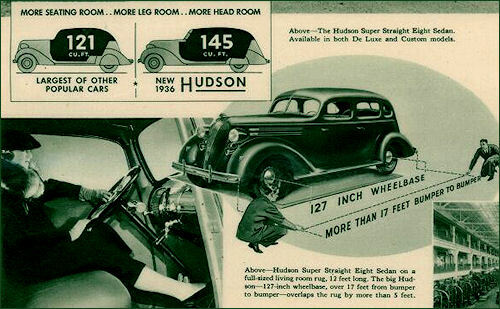 The 1936 Hudsons were also considerably larger inside than competitive cars — Hudson claimed a 145-cubic-foot (4.1 m3) interior, comparing it to 121 cubic feet (3.4 m3) in the “largest of other popular cars.” (According to United States Environmental Protection Agency (EPA) measurements, the cavernous Chrysler LHS only reached 126 cubic feet or 3.6 cubic metres) With the optional bulging trunk lid, the Hudsons could store 21 cubic feet (0.59 m3) of luggage (the LHS, 19 cubic feet or 0.54 cubic metres), though that might have been an optimistic measurement. 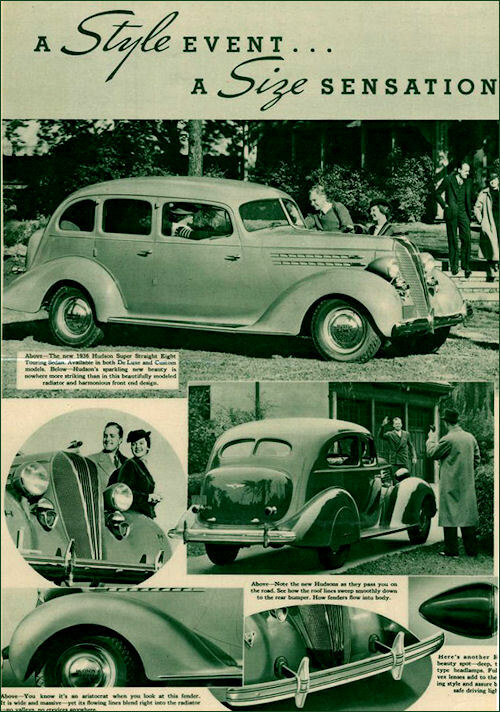 The 1936 engines were powerful for the time, from 93 to 124 horsepower (69 to 92 kilowatts; 94 to 126 metric horsepower). 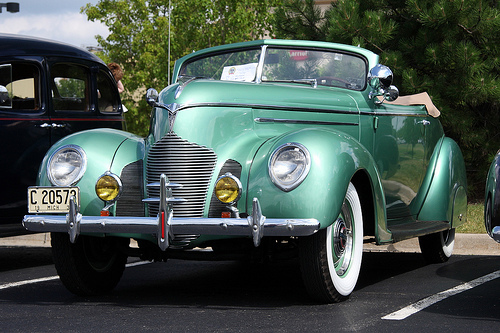 The 1939 models joined other American cars in the use of a column-mounted gearshift lever. 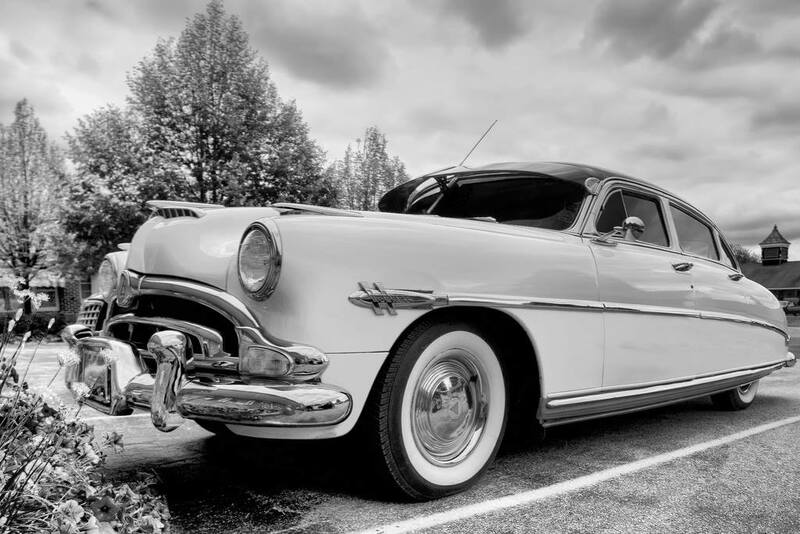 This freed front-seat passenger space and remained the industry standard through the 1960s, when “bucket seats” came into vogue. 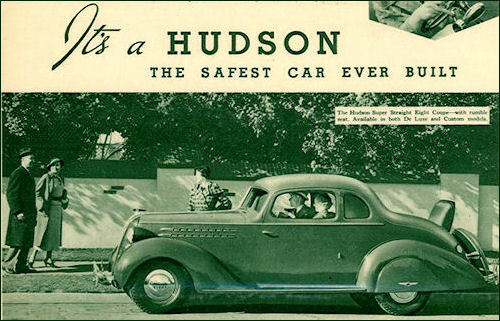 Hudson became the first car manufacturer to use foam rubber in its seats. 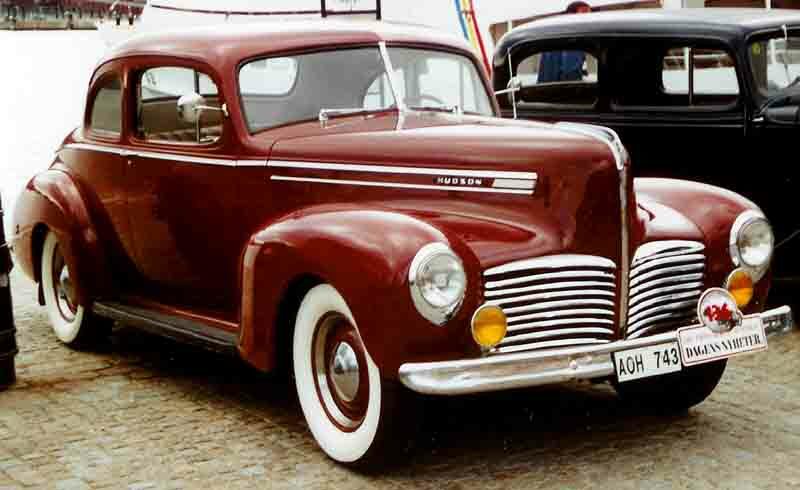 The Hudson Terraplane was dropped. 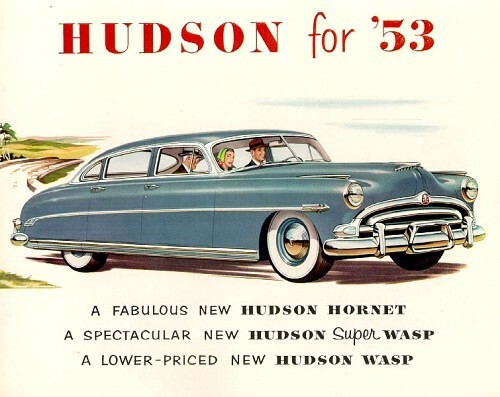 For 1940 Hudson introduced coil spring independent front suspension, aircraft style shock absorbers mounted within the front springs and true center-point steering on all its models, a major advance in performance among cars in this price range. 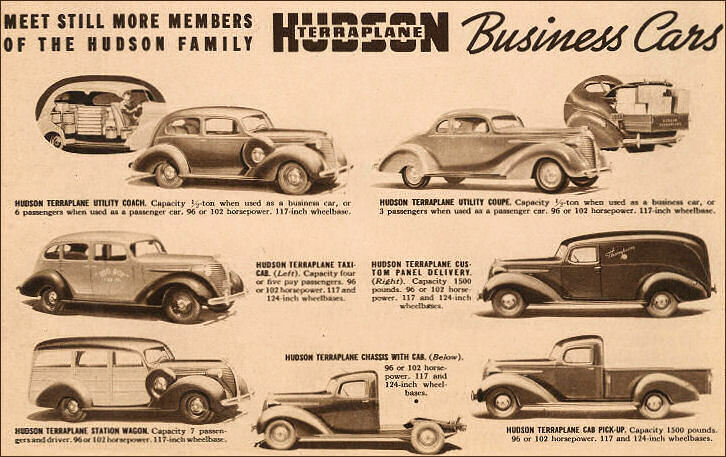 Despite all these changes, Hudson sales for 1940 were lower than 1939 and the company lost money again. 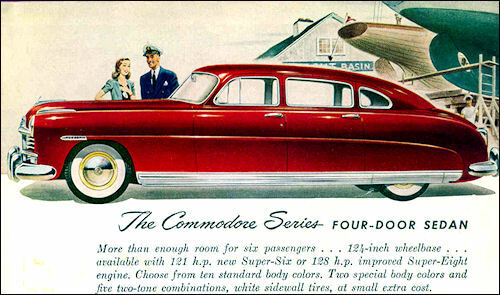 The advent of military contracts the following year brought relief. 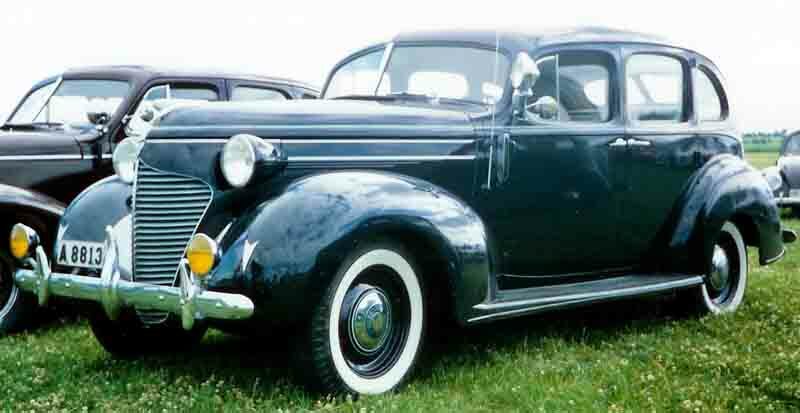 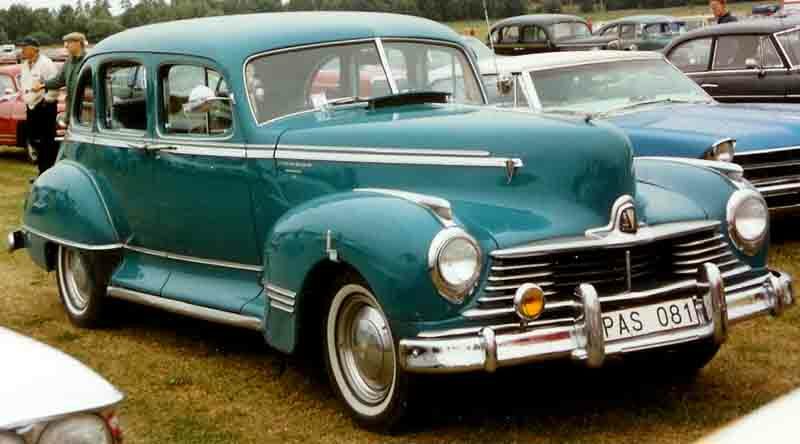 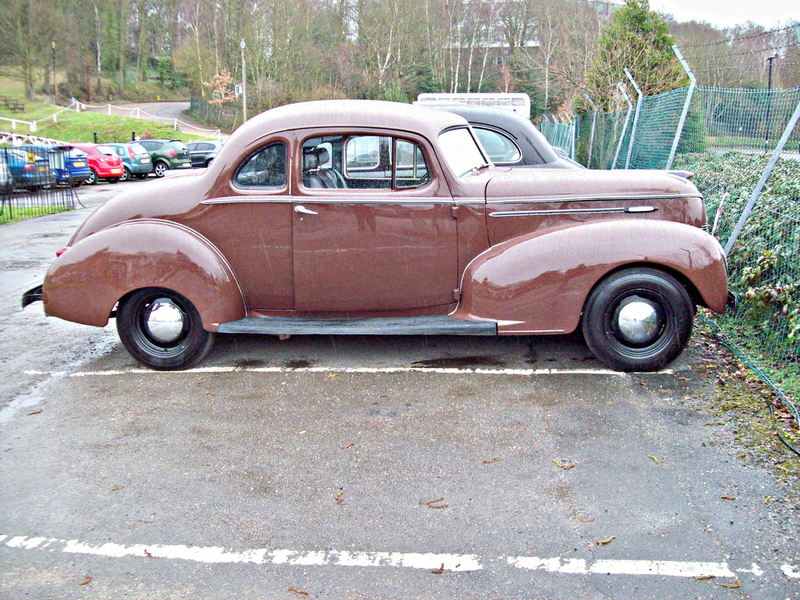 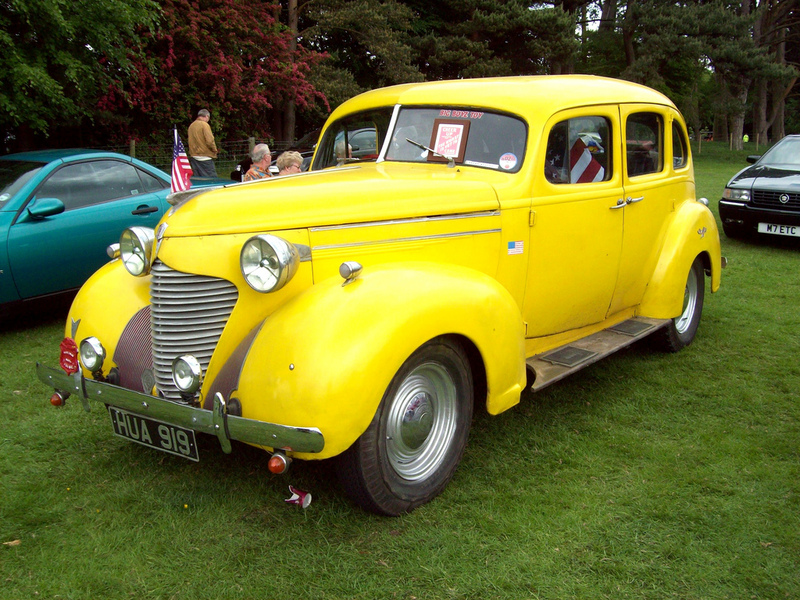 The 1941 Hudsons retained the front end styling of the 1940 models but the bodies were new with 5.5 inches added to their length giving more legroom. 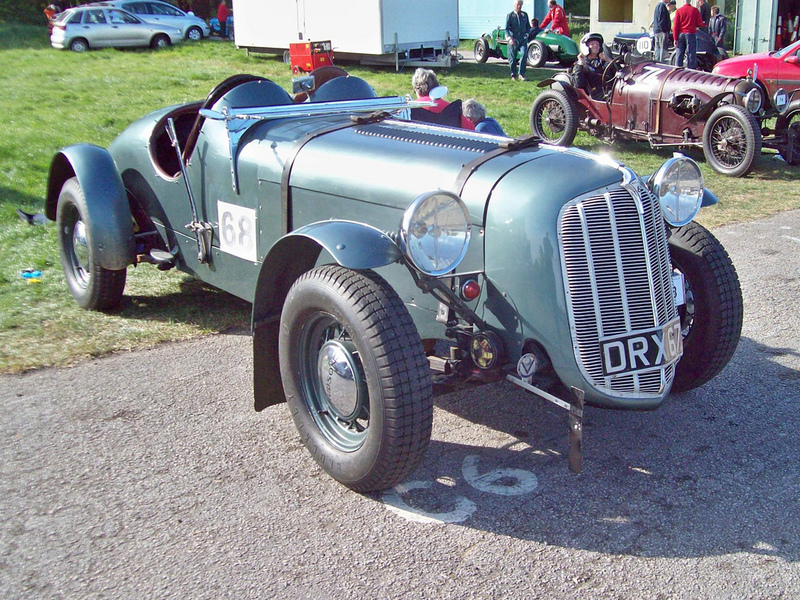 A new manual 3 speed syncromesh transmission was quieter with all helical gears. 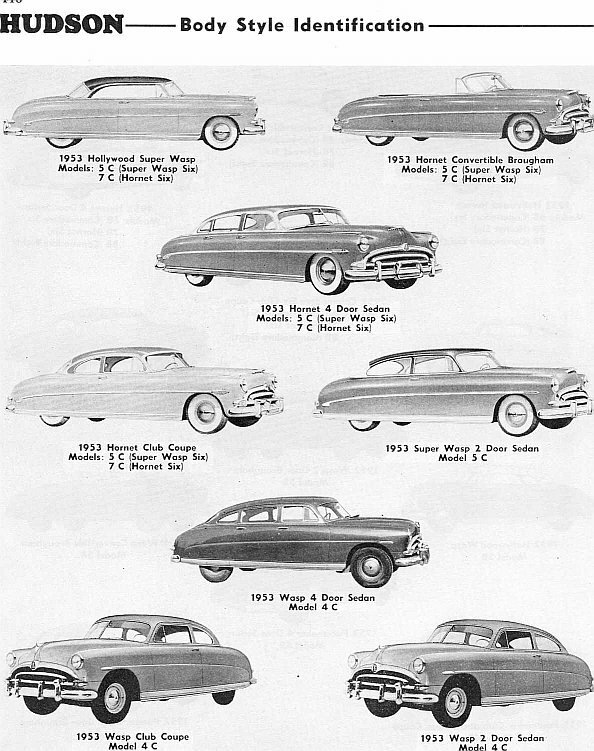 Wheelbases increased by 3 inches, with offerings of 116, 121 and 128 inches, and height was decreased with flatter roofs. 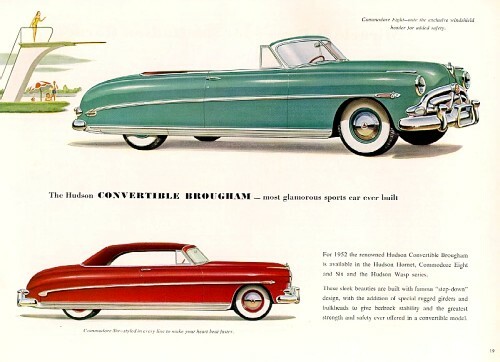 Convertibles now had a power operated top. 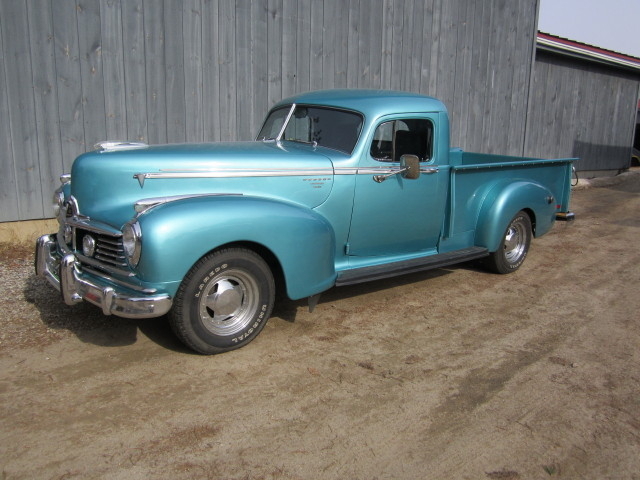 Big Boy trucks now used the 128 inch wheelbase. 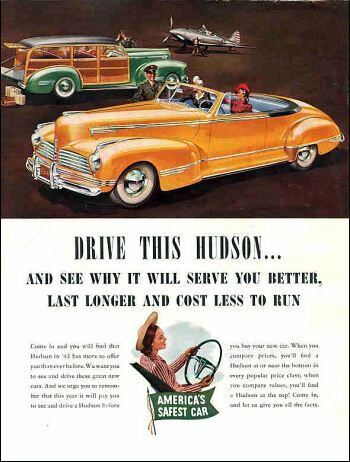 In 1942 in response to General Motors’ Hydramatic automatic transmission, Hudson introduced its “Drive-Master” system. 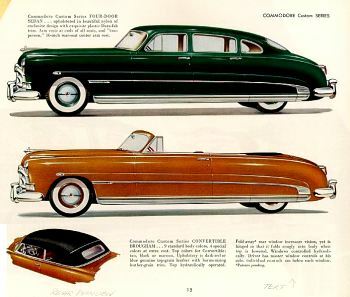 Drive-Master was a more sophisticated combination of the concepts used in the Electric Hand and the automatic clutch. 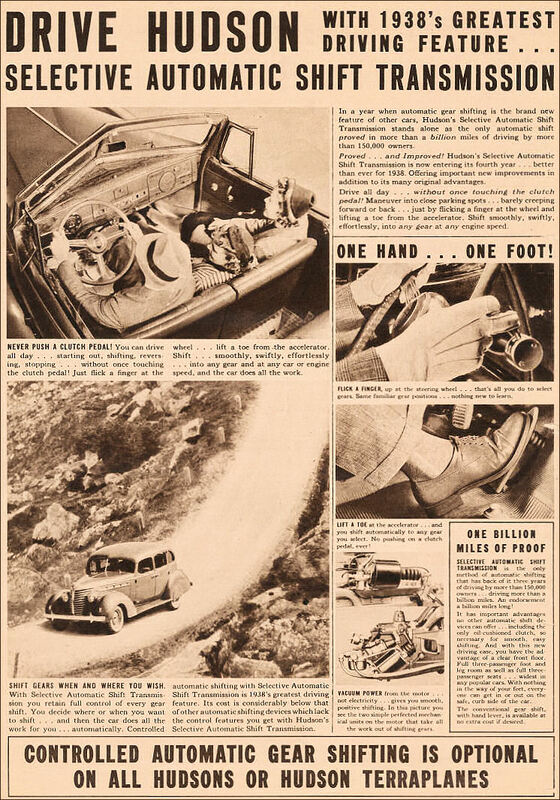 At the touch of a button, Drive-Master offered the driver a choice of three modes of operation: ordinary, manual shifting and clutching; manual shifting with automatic clutching; and automatic shifting with automatic clutching. 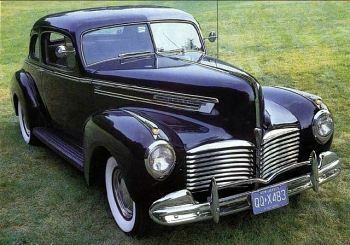 All this was accomplished by a large and complicated mechanism located under the hood. 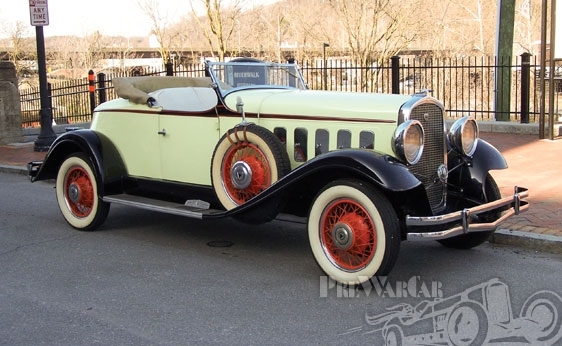 They worked well, and in fully automatic mode served as a good semi-automatic transmission. 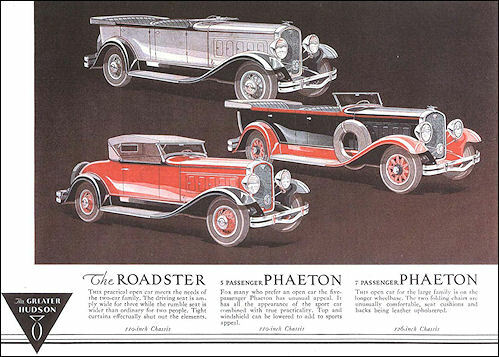 When coupled with an automatic overdrive, Drive-Master became known as Super-Matic. 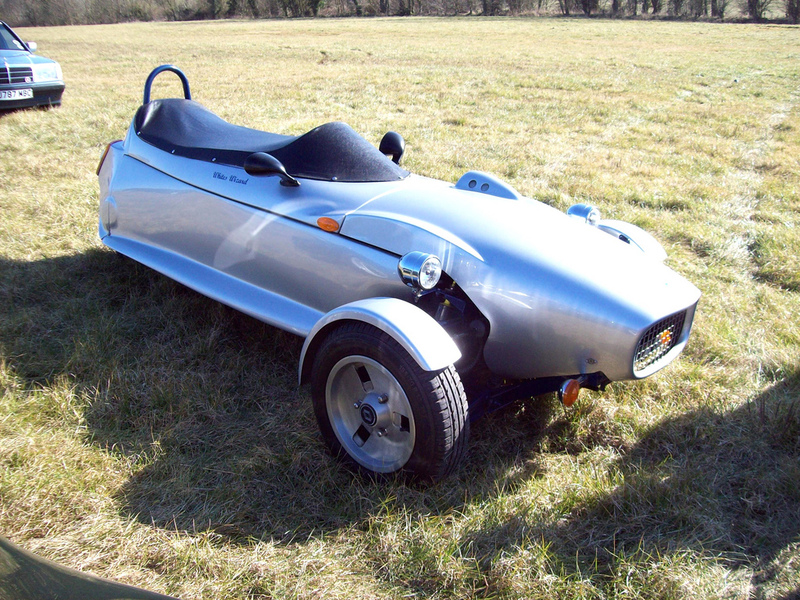 Re-engineering of the frame rear end to use lower springs reduced car height by 1.5 inches. 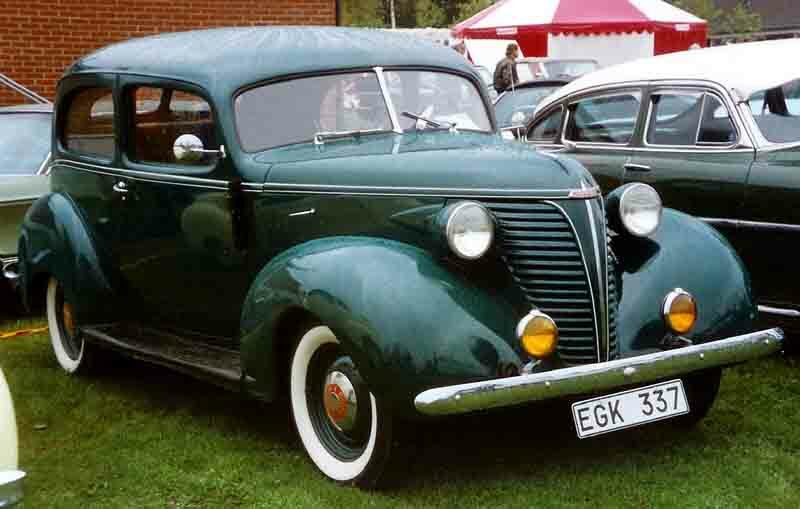 Sheet metal “spats” on the lower body now covered the running boards and new wider front and rear fenders accommodated this. 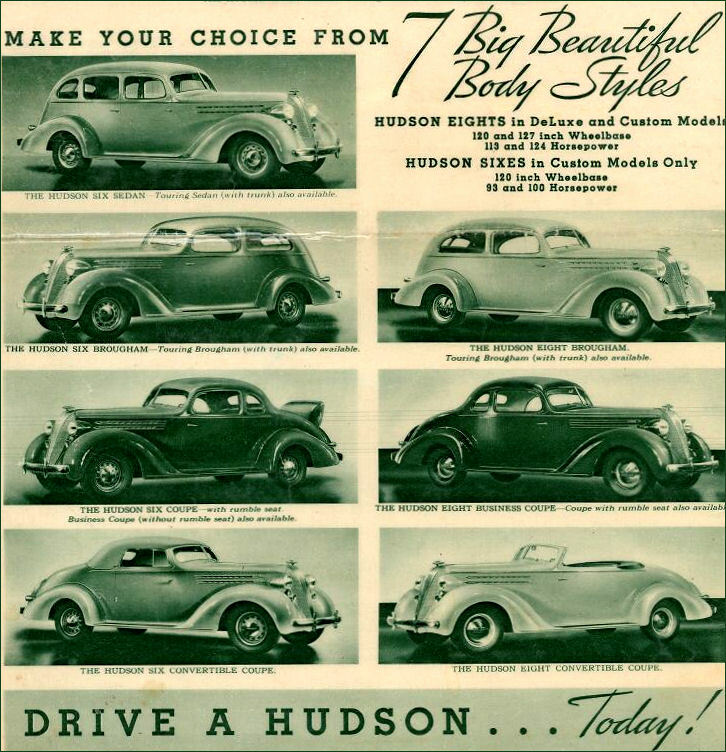 Hudson Motor Company, wanting a female perspective on automotive design, hired Elizabeth Ann Thatcher, who later became Betty Thatcher Oros, in 1939. 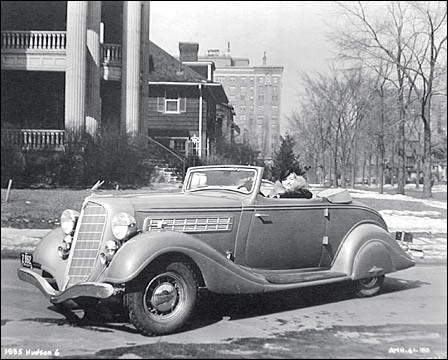 A graduate of the Cleveland School of Arts, now Cleveland Institute of Art, and major in Industrial Design, she became America’s first female automotive designer. 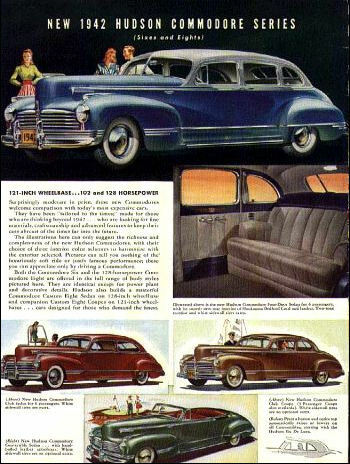 Her contributions to the 1941 Hudson included exterior trim with side lighting, interior instrument panel, interiors and interior trim fabrics. 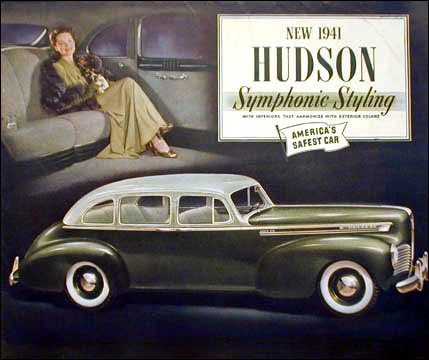 She designed for Hudson from 1939 into 1941, leaving the company when she married Joe Oros, then a designer for Cadillac. 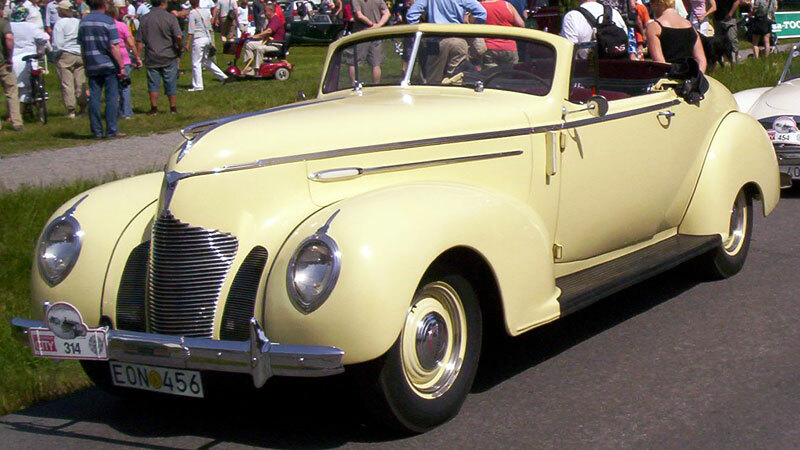 He later achieved renown as head of the design team at Ford that created the Mustang. 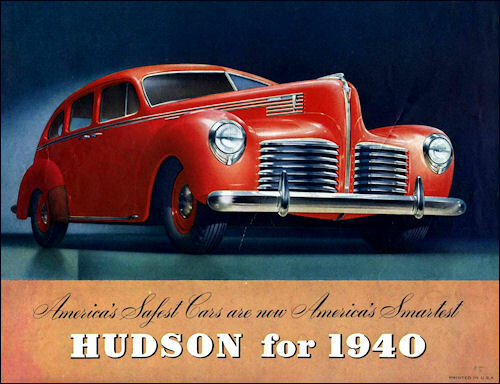 As ordered by the Federal government, Hudson ceased auto production from 1942 until 1945 in order to manufacture materiel during World War II, including aircraft parts and naval engines, and anti-aircraft guns. 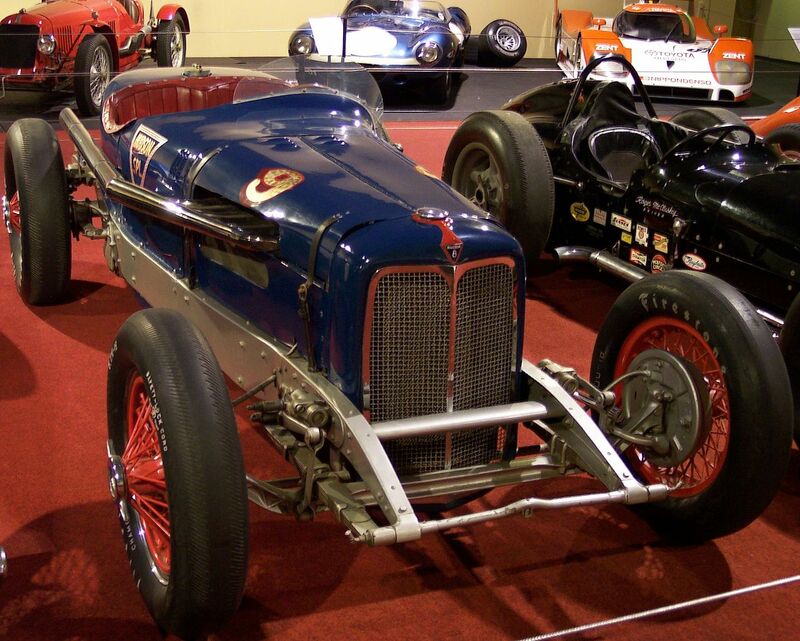 The Hudson “Invader” engine powered many of the landing craft used on the D-Day invasion of Normandy, June 6, 1944. 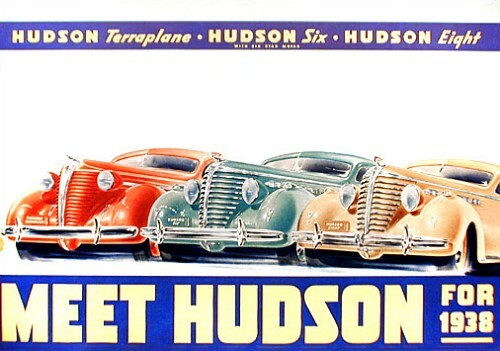 During World War II Hudson had also an aircraft division which produced ailerons for one large eastern airplane builder. 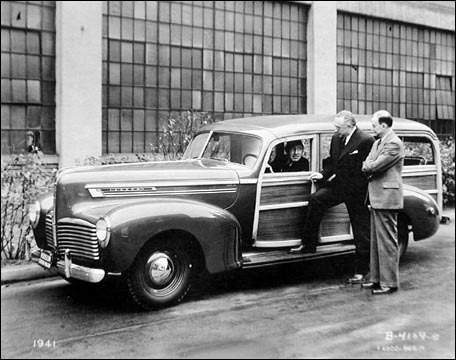 The plant was capable of large scale production of wings and ailerons as well as other airplane parts. 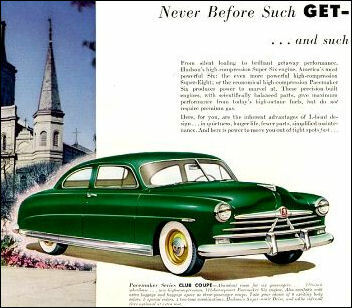 On May 22, 1941, Hudson was given a contract for the Oerlikon 20 mm cannon with the Jefferson Avenue Plant responsible to convert the original Swiss drawings to American production standards. 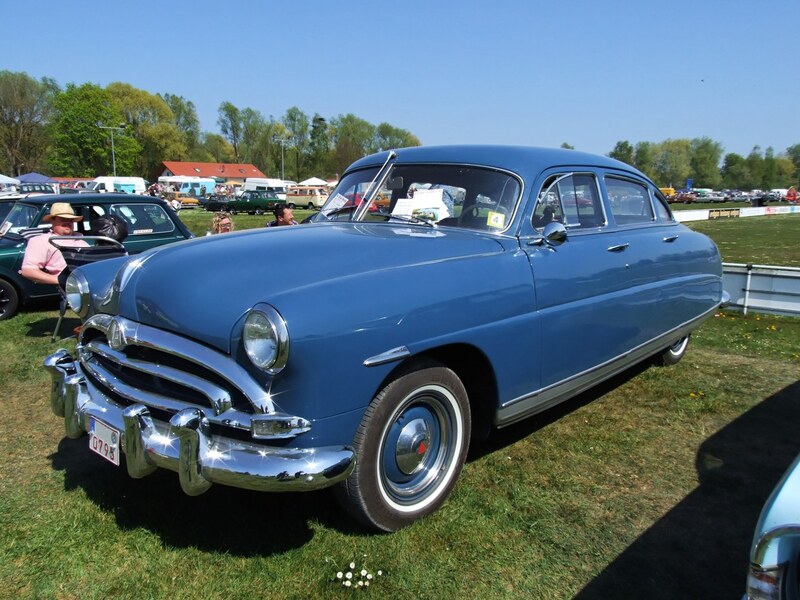 The company produced 33,201 Oerlikons for the United States Navy with the original mechanism continued in use without major change and with complete inter-changeability of parts until the end of the war. 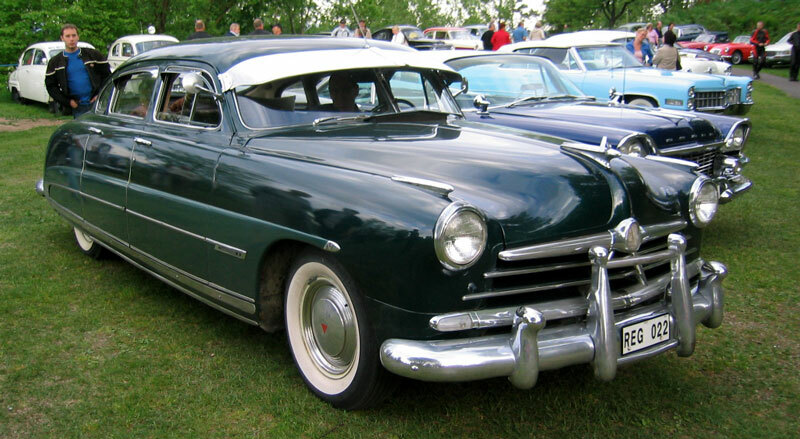 Hudson also manufactured millions of other weaponry and vehicle parts for the war effort. 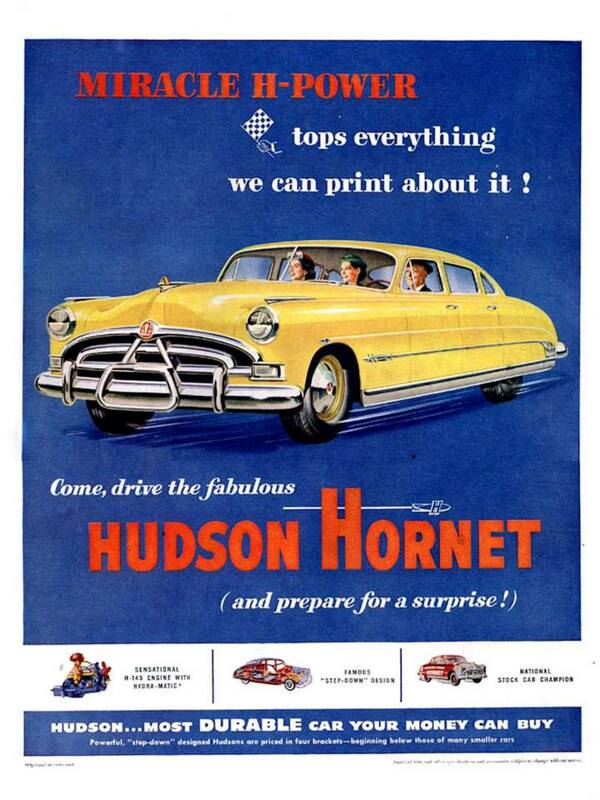 Hudson ranked 83rd among United States corporations in the value of World War II military production contracts. 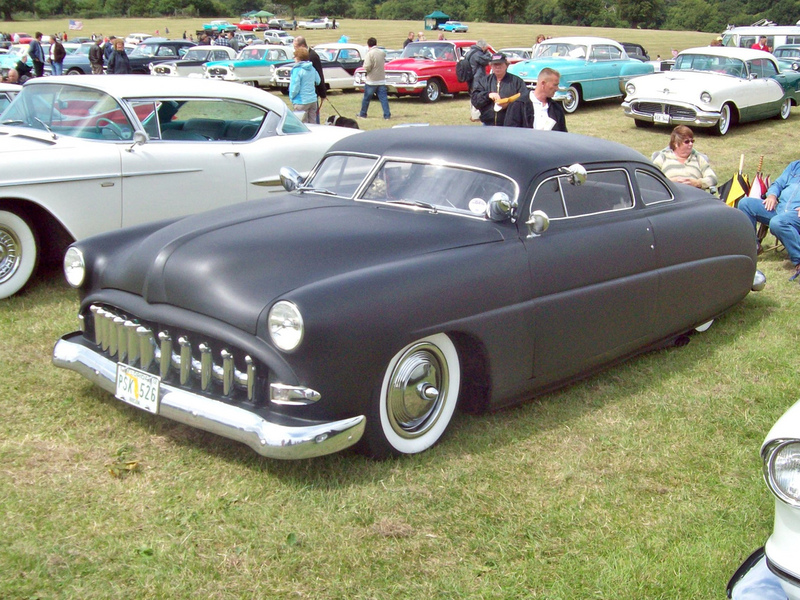 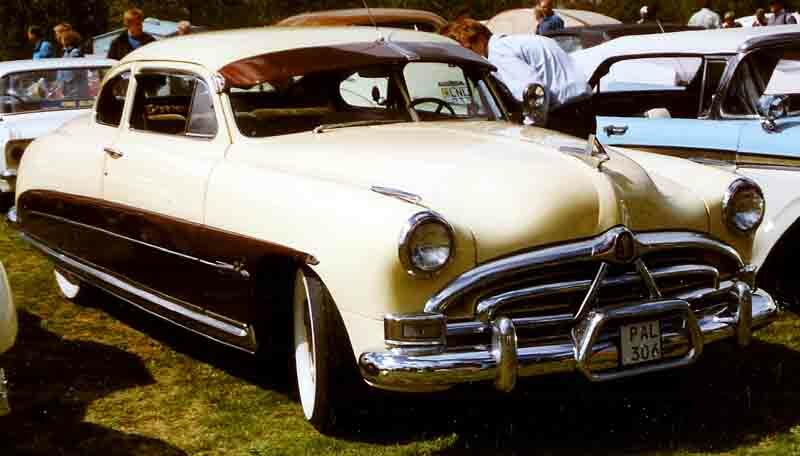 In 1948, the company launched their “step-down” bodies, which lasted through the 1954 model year. 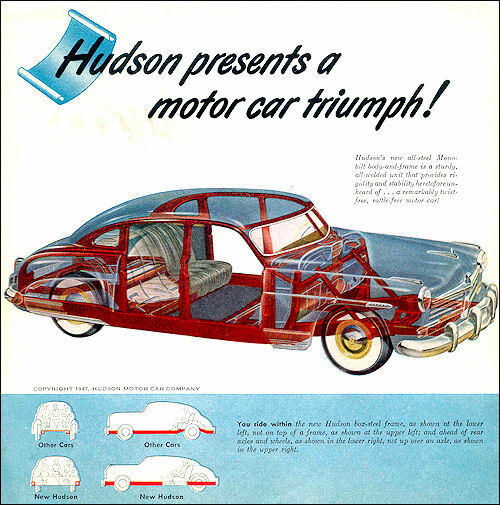 The term step-down referred to Hudson’s placement of the passenger compartment down inside the perimeter of the frame; riders stepped down into a floor that was surrounded by the perimeter of the car’s frame. 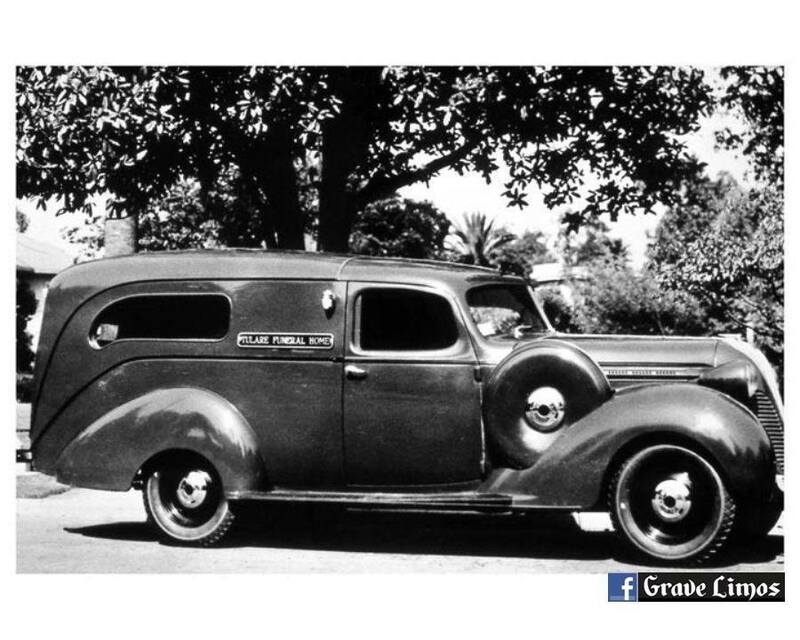 The result was not only a safer car, and greater passenger comfort as well, but, through a lower center of gravity, good-handling car. 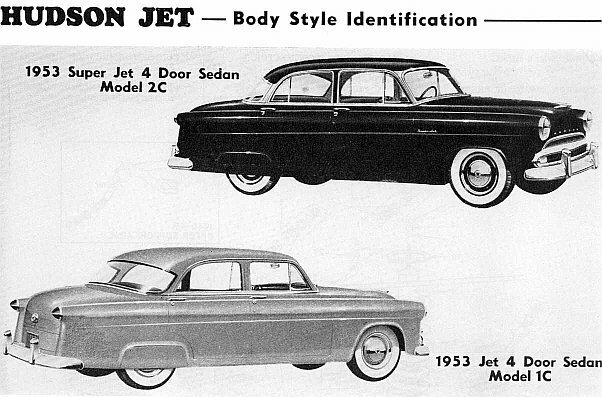 In time almost all US automakers would embrace it as a means of building bodies. 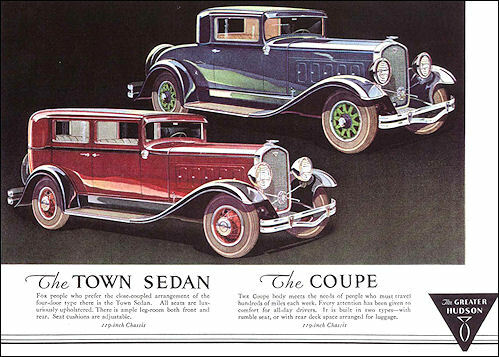 Automotive author Richard Langworth described the step-down models as the greatest autos of the era in articles for Consumer Guide andCollectible Automobile. 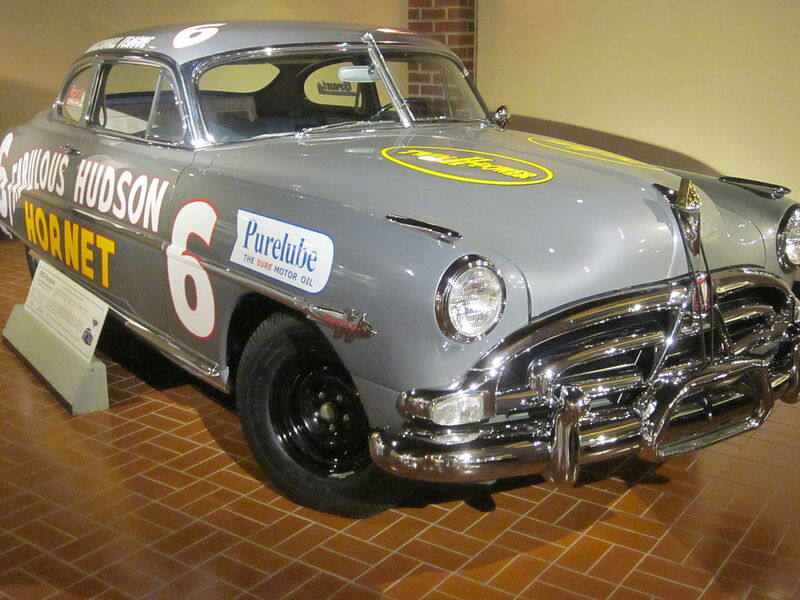 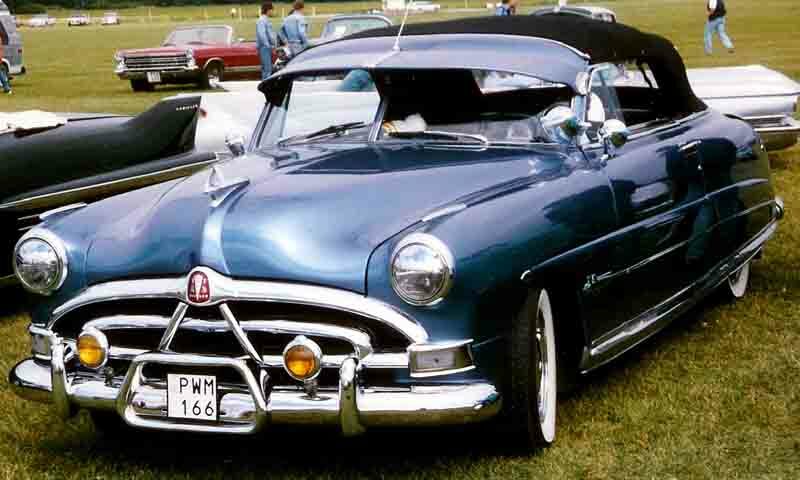 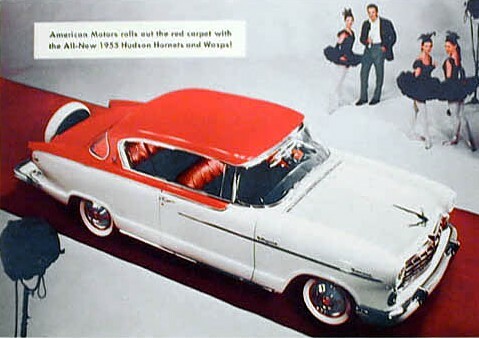 Hudson’s strong, light-weight bodies, combined with its high-torque inline six-cylinder engine technology, made the company’s 1951–54 Hornet an auto racing champion, dominating NASCAR in 1951, 1952, 1953, and 1954. 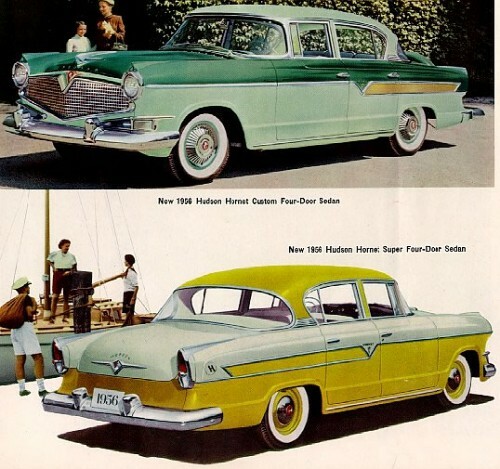 As the post-war marketplace shifted from a seller’s to a buyer’s market the smaller U.S. automakers, such as Hudson and Nash, found it increasingly difficult to compete with the Big Three (Ford, GM and Chrysler) during the 1950s. 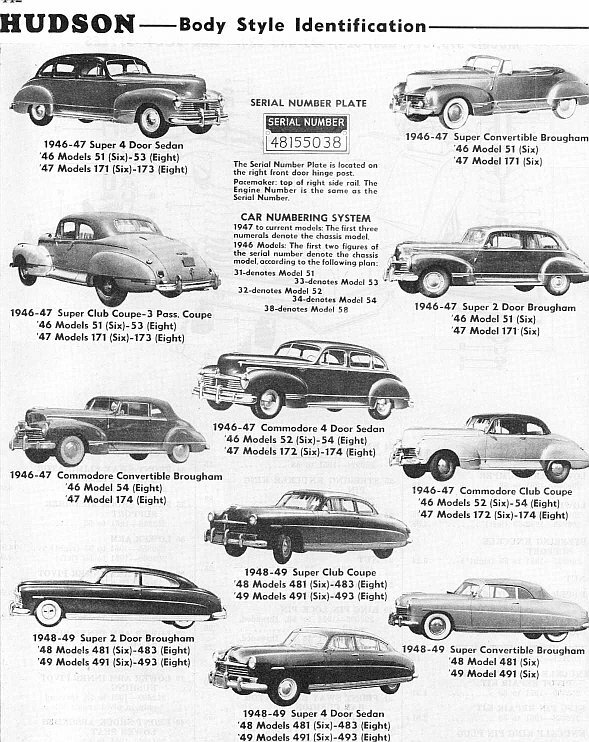 The sales war between Ford and General Motors conducted during 1953 and 1954 had left little business for the much smaller “independent” automakers trying to compete against the standard models offered by the domestic Big Three. 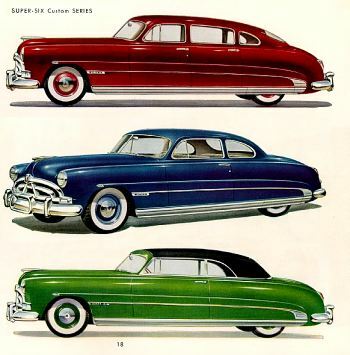 The Big Three could afford constant development and styling changes, so that their cars looked fresh every year, whereas the smaller manufacturers could only afford gradual change. 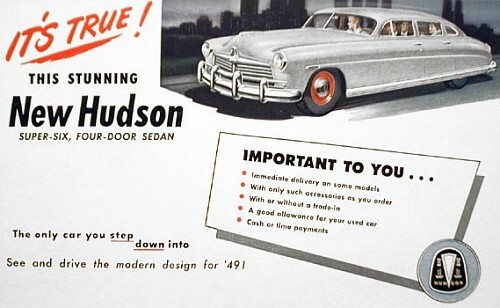 Hudson’s once innovative “step-down” unit body construction, while sturdy and innovative, also made restyling difficult and expensive. 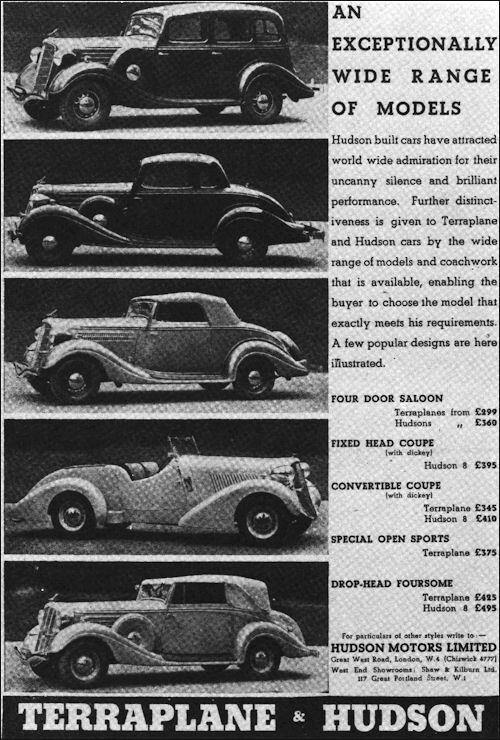 Although Hudsons dominated racing during this period, their feats did little to affect showroom traffic. 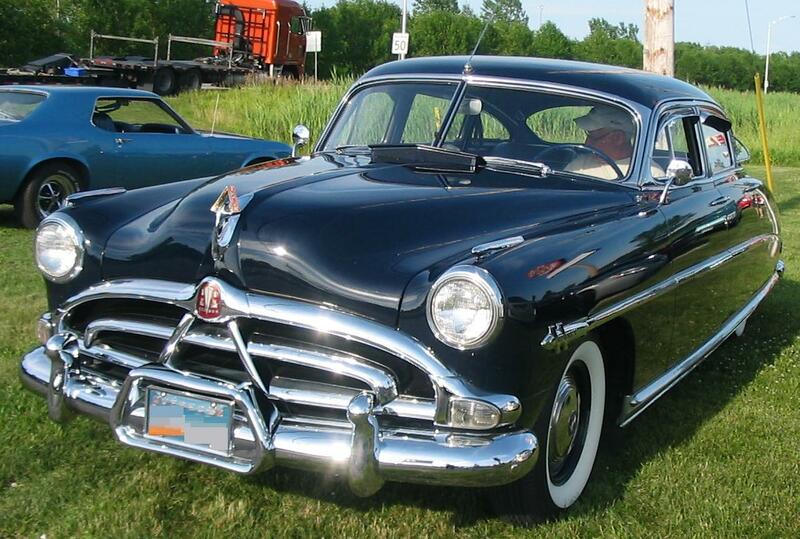 Sales fell each year from 1951 to 1954 and only Korean War military contracts kept the company afloat. 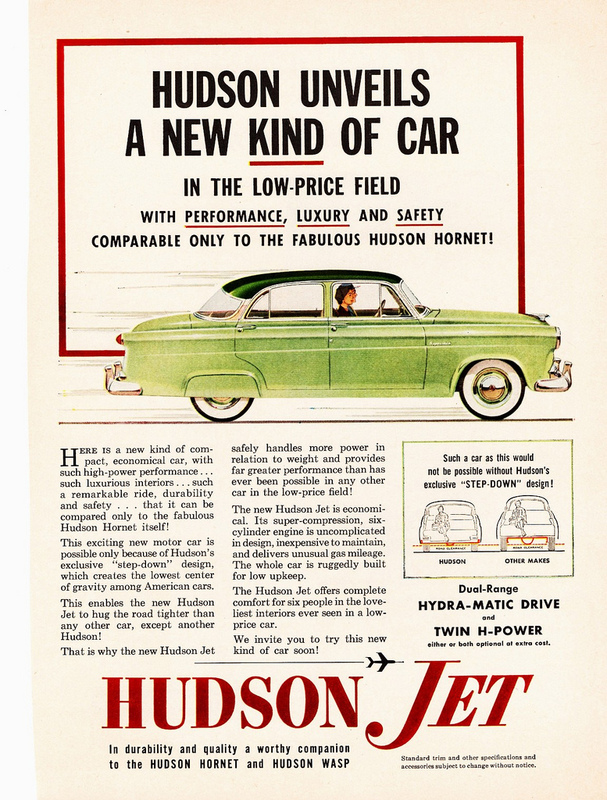 After the company’s high-priced Jet compact car line failed to capture buyers in its second straight year, Hudson was acquired by Nash-Kelvinator (makers of Nash and Rambler) automobiles in 1954. 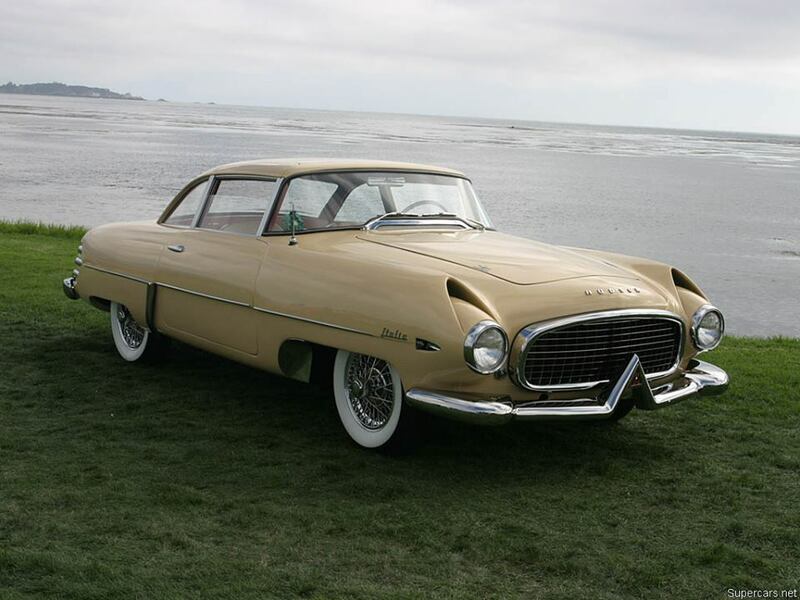 For 1955, both Hudson and Nash senior models were built on a common automobile platform using styling themes by Pinin Farina, Edmund E. Anderson, and Frank Spring. 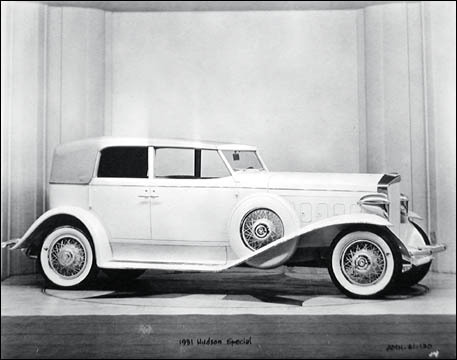 Common-body shell production for competing makes of automobiles was a manufacturing technique that had been used by the Big Three for decades. 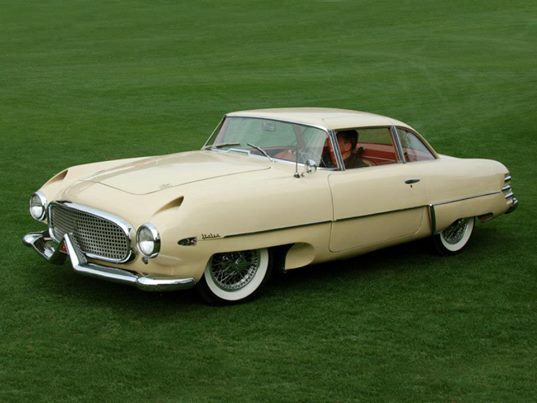 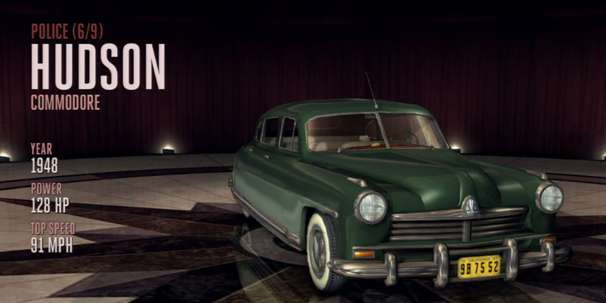 Although the 1955 Hudson used the inner body shell of the Nash, the car incorporated a front cowl originally designed by Spring and the Hudson team to be put on the 1954 Step-Down platform. 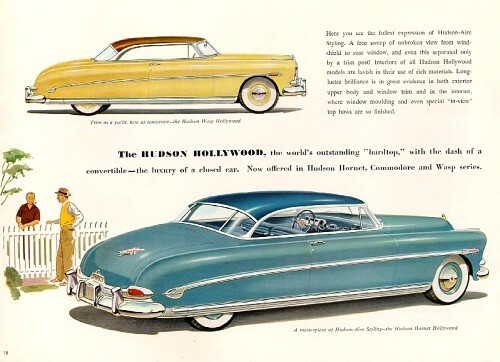 The 1955 models also used the Hudson dashboard, “triple safe brakes” and Nash Weather Eye heater with Harrison Radiator Corporation-supplied lower cost Freon/compressor type air conditioning. 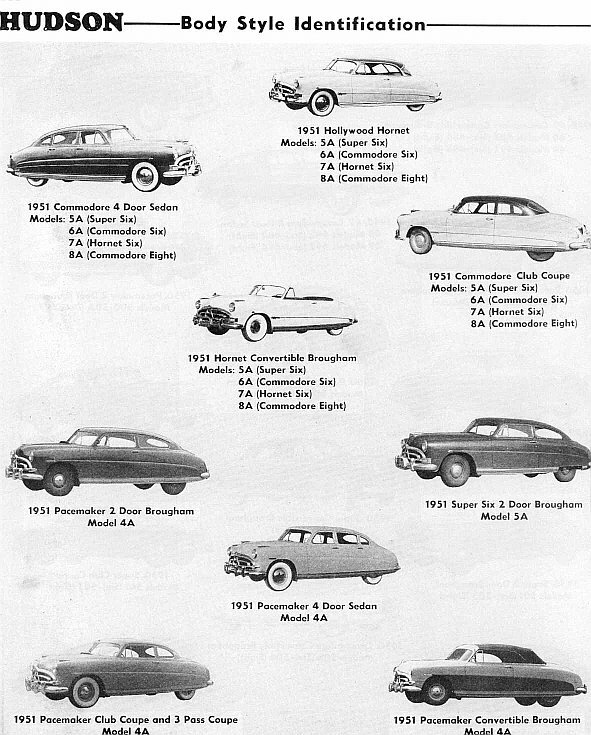 Hudson dealers also sold Rambler and Metropolitan models under the Hudson brand. 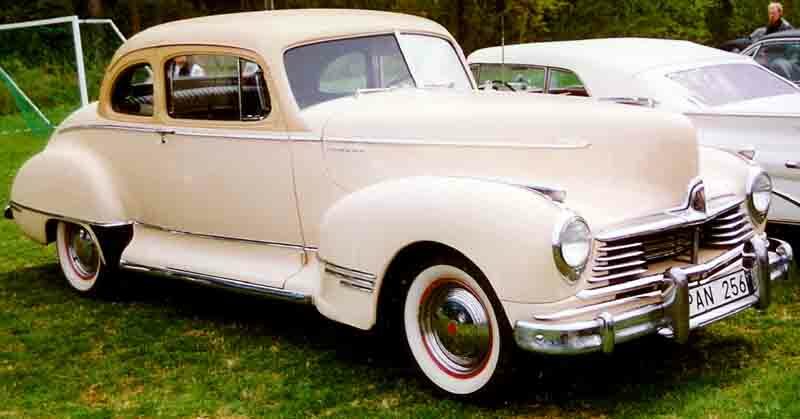 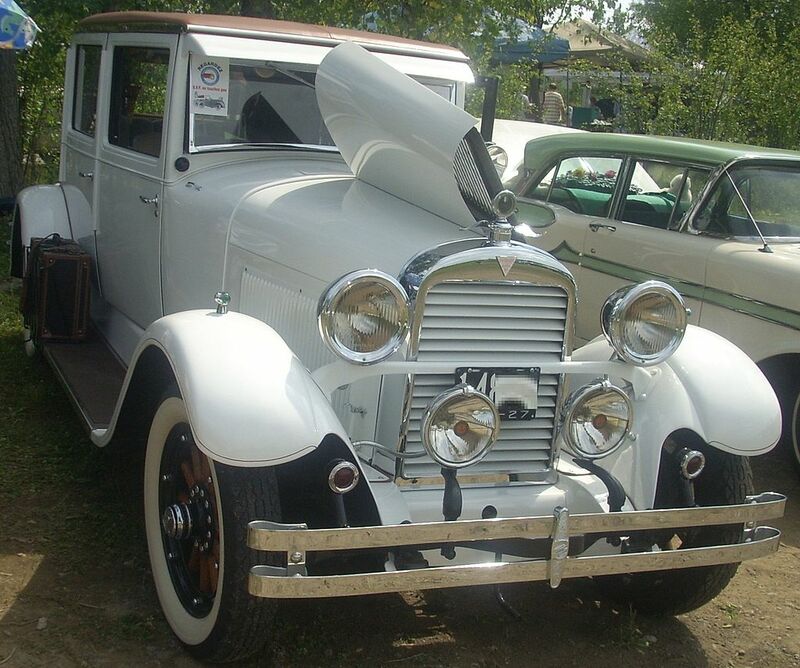 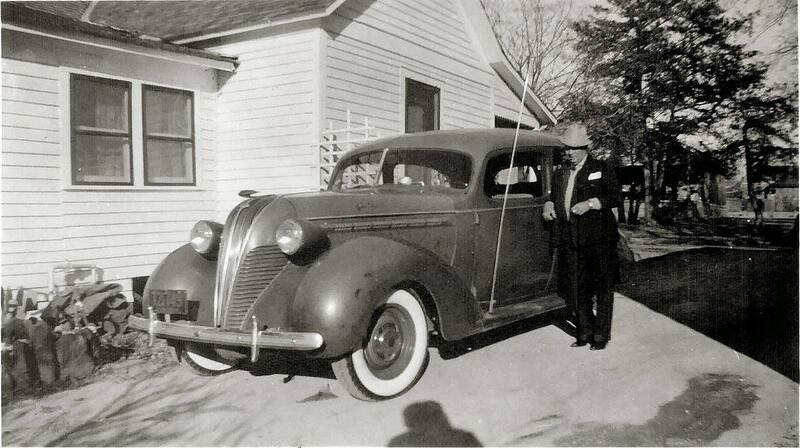 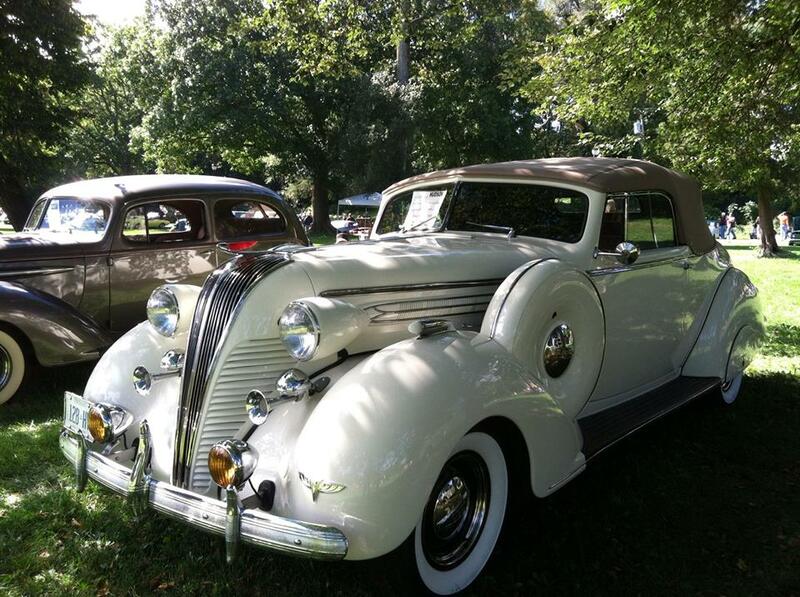 When sold by Hudson dealers, both cars were identified as Hudson vehicles via hood/grille emblems and horn buttons. 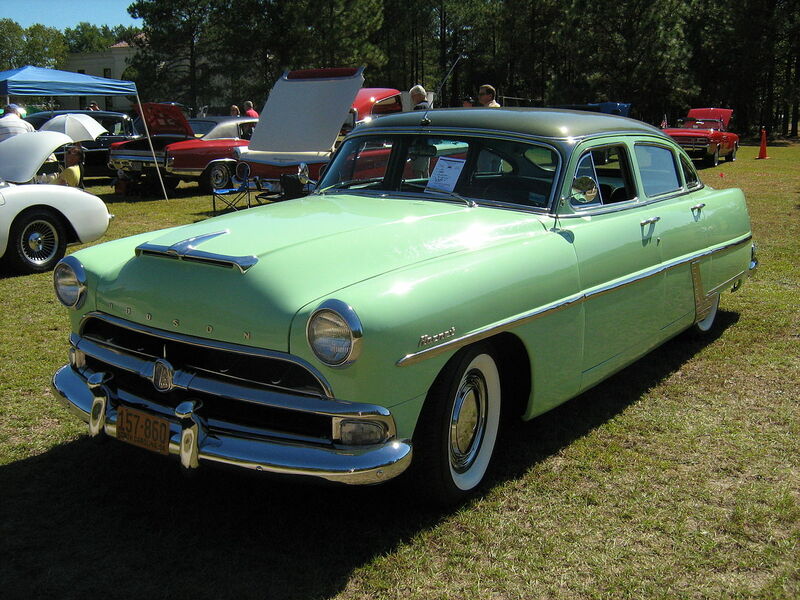 Hudson Ramblers also received “H” symbols on fuel filler caps (and, in 1956, also on hubcaps). 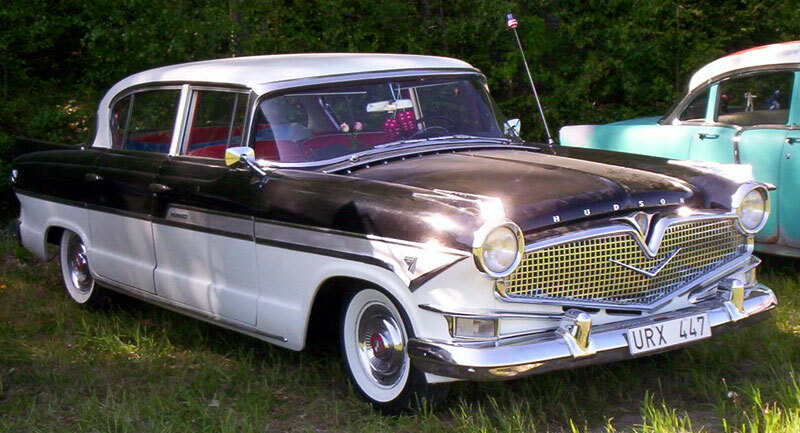 For 1957, Rambler and Metropolitan became makes in their own rights, and no longer were identified as Hudson or Nash. 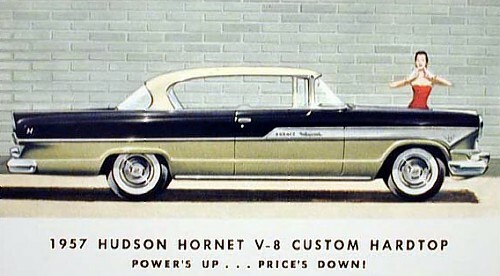 For 1956, design of the senior Hudsons was given over to designer Richard Arbib, which resulted in the “V-Line” styling motif, a combination of “V” motifs that carried Hudson’s triangular corporate logo theme. 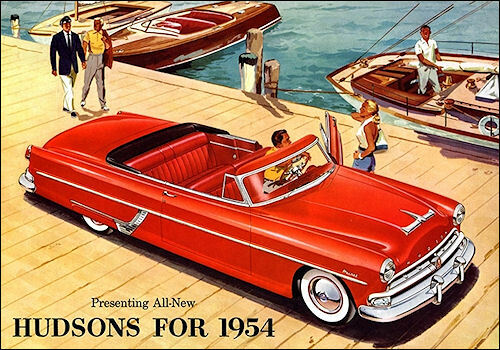 Sales fell below 1955 figures. 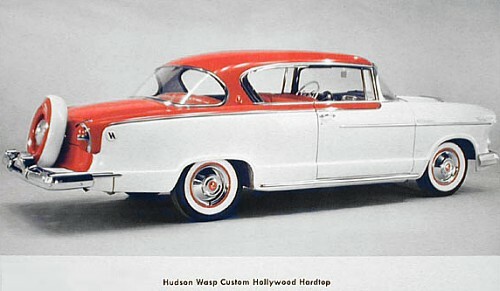 For 1957, Hudson dropped the shorter-wheelbase Wasp line, selling only the Hornet Custom and Super, which featured a lowered profile and slightly updated styling. 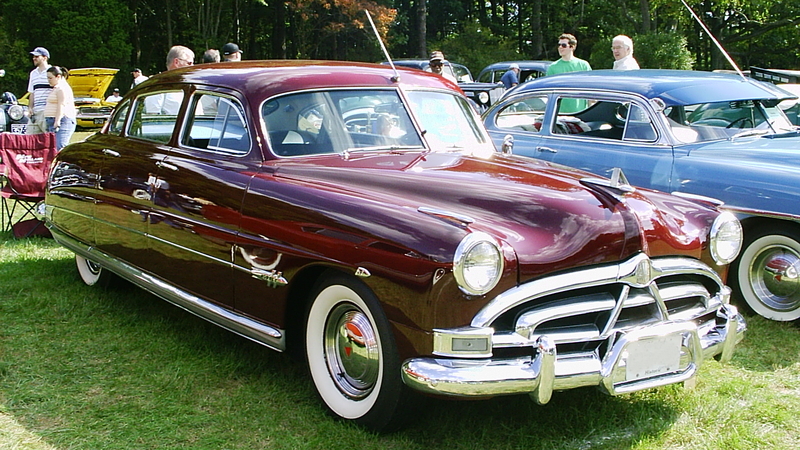 With a wider front track than Nash used, Hudson was the better handling car, and was powered by the famed 308 cu in (5.0 L) Hornet Six with the optional high-compression cylinder head and dual-carburetor manifold (“Twin-H Power”); the Twin H would disappear at the end of the 1956 model year. 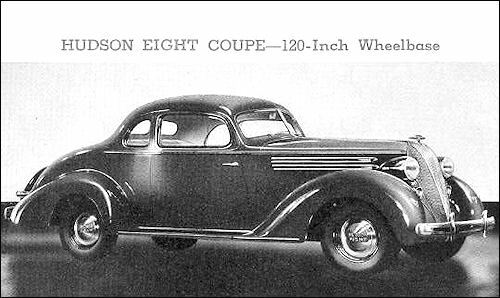 The Wasp used the 202 cu in (3.3 L) L-head Jet Six engine (up to 130 hp (97 kW)) and this model (in sedan version) was Hudson’s top seller. 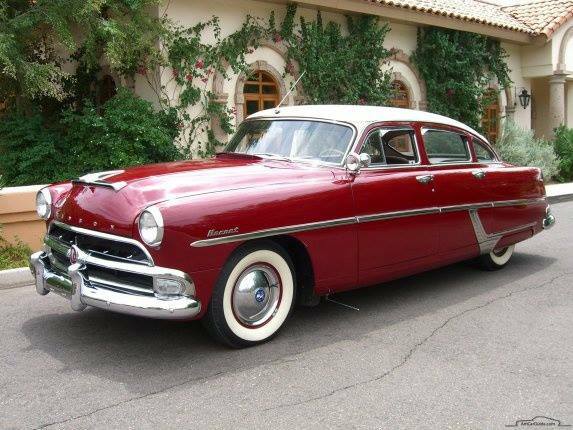 For 1955, for the first time Hudson offered a V8 engine, a Packard-designed and -built 320 cu in (5.2 L) engine rated at 208 hp (155 kW) purchased by Hudson and Nash. 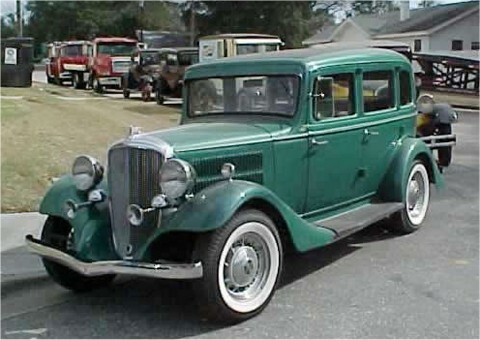 All cars with the Packard V8 also used Packard’s Ultramatic automatic transmission. 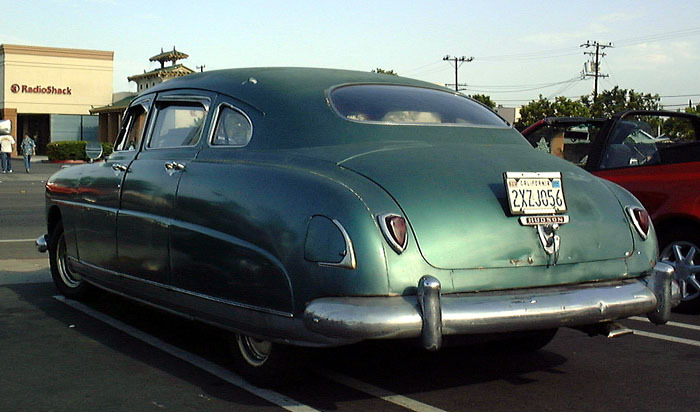 as an option costing $494 (equivalent to approximately $4,285); the Nash 3-speed manual was also available at US$295. 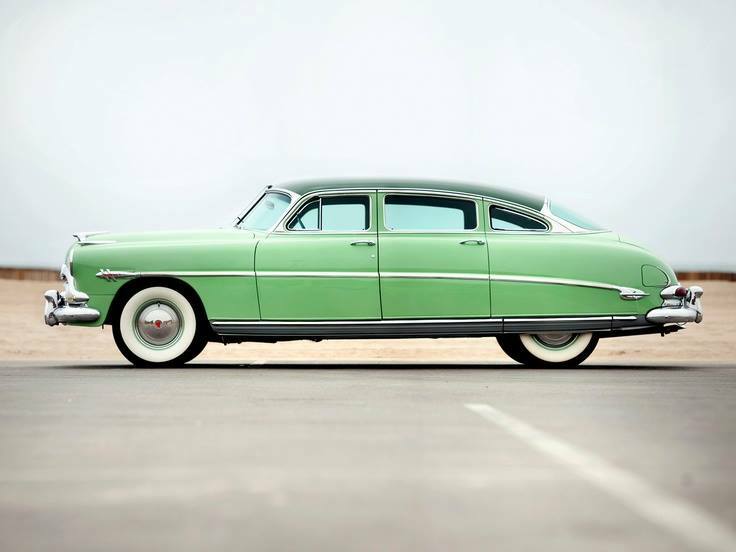 The last Hudson rolled off the Kenosha assembly line on June 25, 1957. 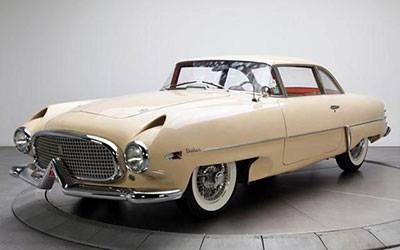 There were no ceremonies, because at that point there was still hope of continuing the Hudson and Nash names into the 1958 model year on the Rambler chassis as deluxe, longer-wheelbase senior models. 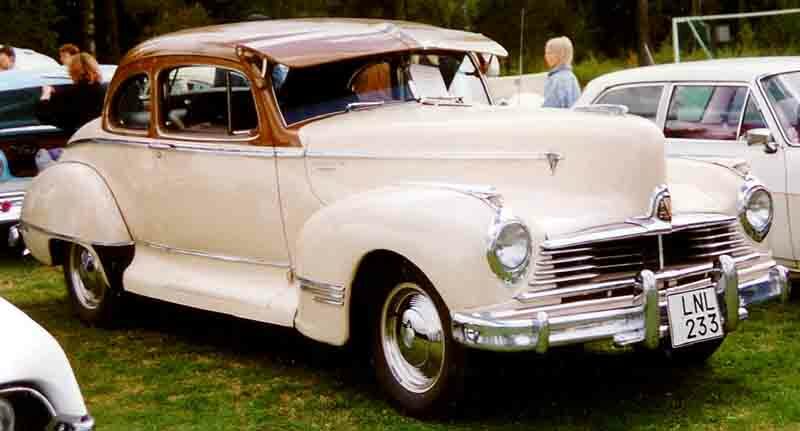 The combined Nash and Hudson production volume was not sufficient to justify all new design and tooling, so the Rambler’s platform was expected to be adopted to the longer cars. 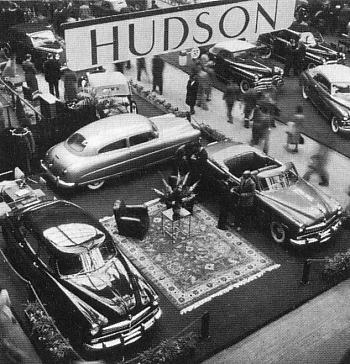 One major trade magazine said rumors of discontinuance were false and the 1958 Hudsons and Nashes “would be big and smart”. 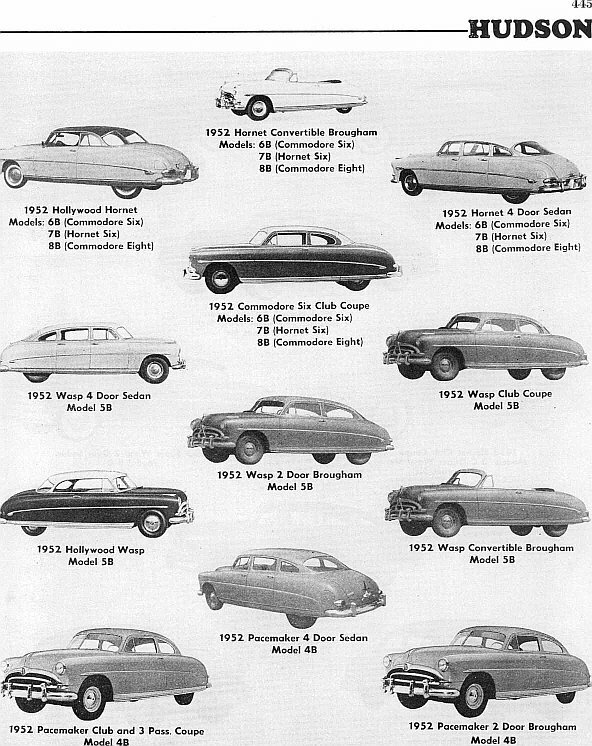 Factory styling photographs show designs for a 1958 Hudson (and Nash) line based on a longer-wheelbase 1958 Rambler. 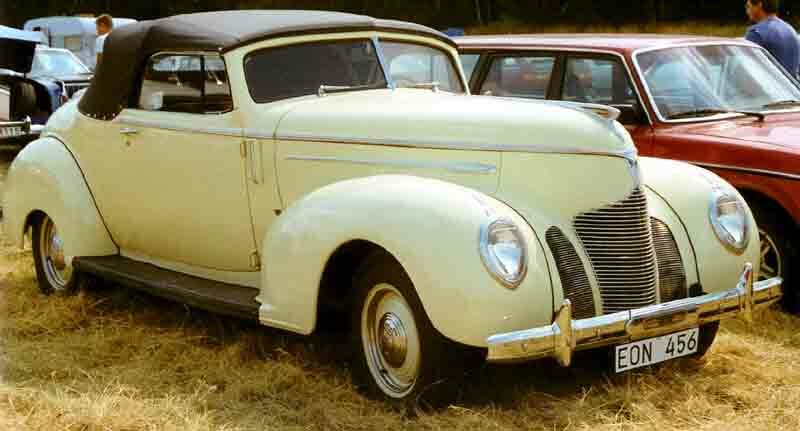 Front-end prototype photos show separate Hudson and Nash styling themes. 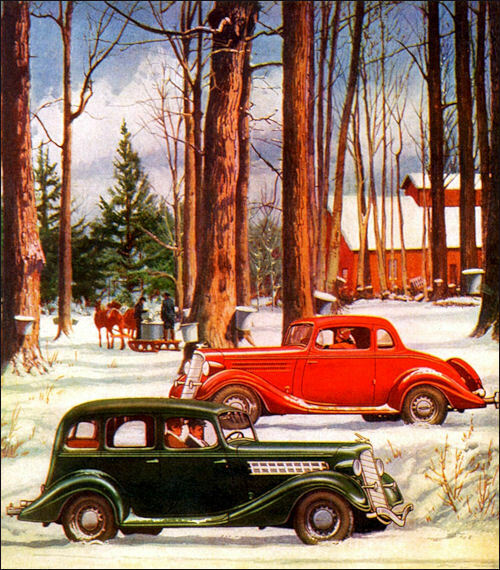 AMC’s President George W. Romney came to the conclusion that the only way to compete with the “Big Three” (General Motors, Ford, and Chrysler) was to stake the future of AMC on a new smaller-sized car line. 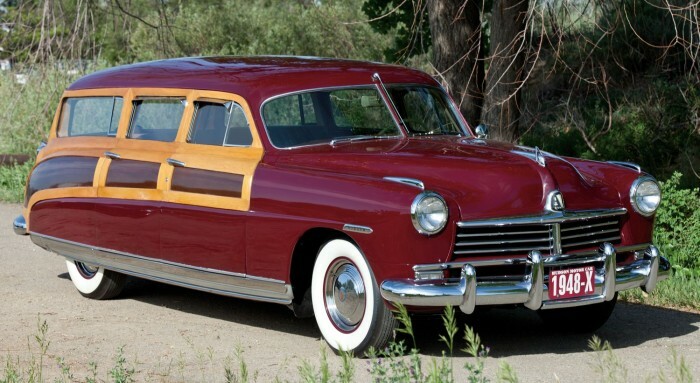 Neither Hudson nor Nash brand names had as much positive market recognition as the successful Rambler and their sales were lagging. 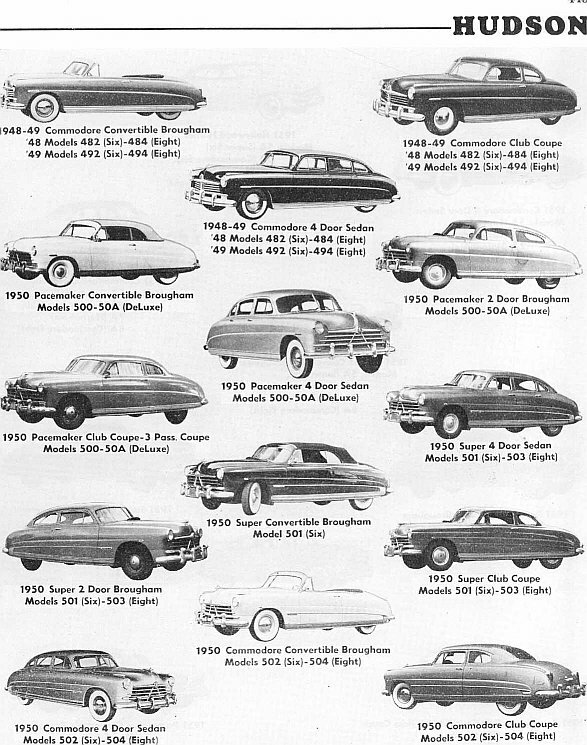 Together with AMC’s chief engineer Meade Moore, Romney had completely phased out the Nash and Hudson brands at the end of 1957. 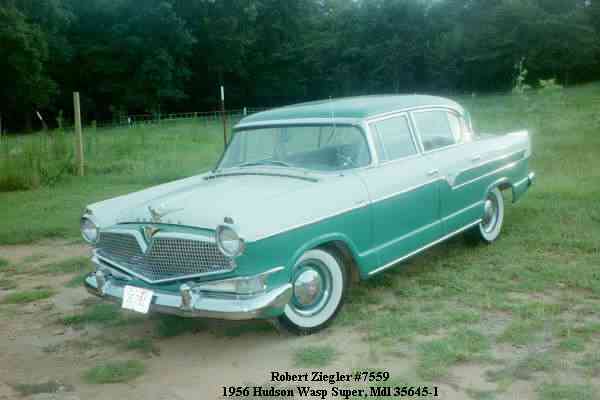 The decision to retire the brands came so quickly that preproduction photographs of the eventual 1958 Rambler Ambassador show both Nash- and Hudson-badged versions. 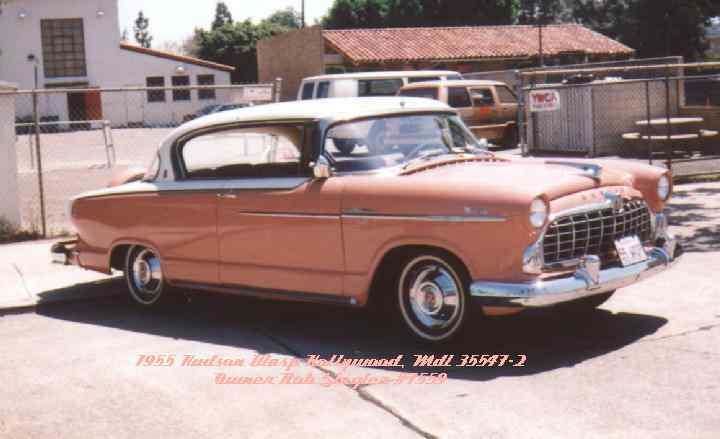 The Rambler brand was selected for further development and promotion while focusing exclusively on compact cars. 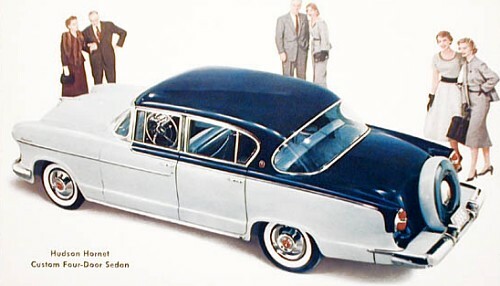 Eventually, however, something close to the Hudson design was chosen for the 1958 Rambler Ambassador. 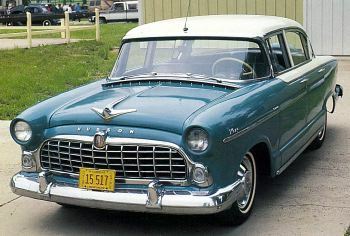 Hudson brand enthusiasts will note the triangular grille guard and 1957-like fender “gun sights” and the fast-selling 1958 Rambler Customs wore 1957 Hudson-styled front-fender trim. 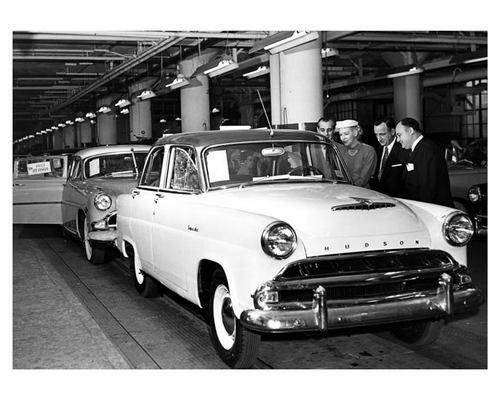 For the 1970 model year, American Motors revived the “Hornet” model name for its new series of compact cars (the AMC Hornet). 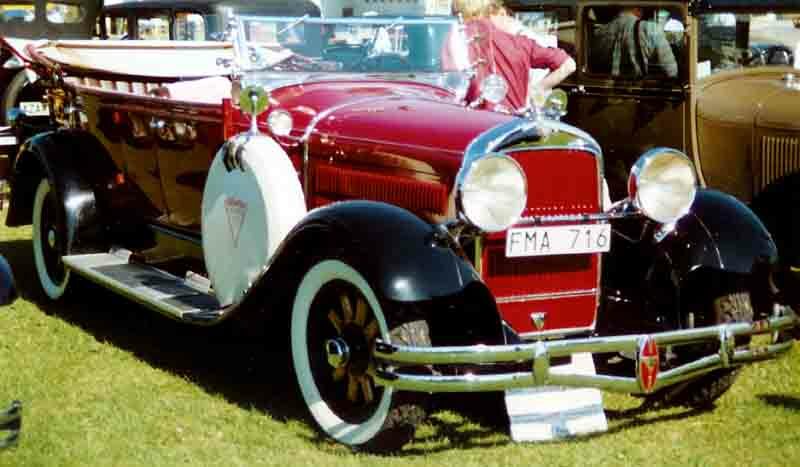 AMC was later purchased by Chrysler, which at one time considered reintroducing the Hornet name in the Dodge model line (See: Dodge Hornet). 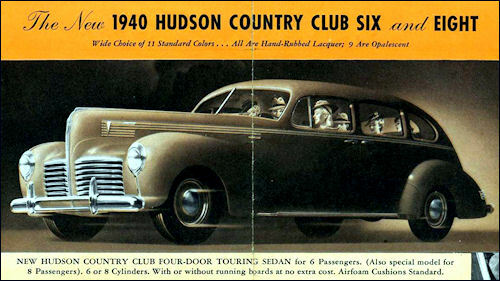 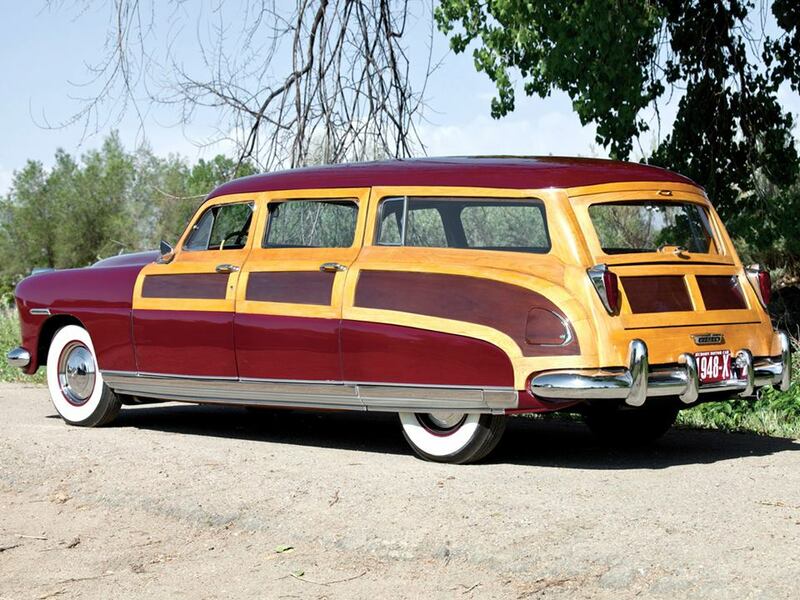 What a comprehensive and beautifully crafted blog on the Hudson car. 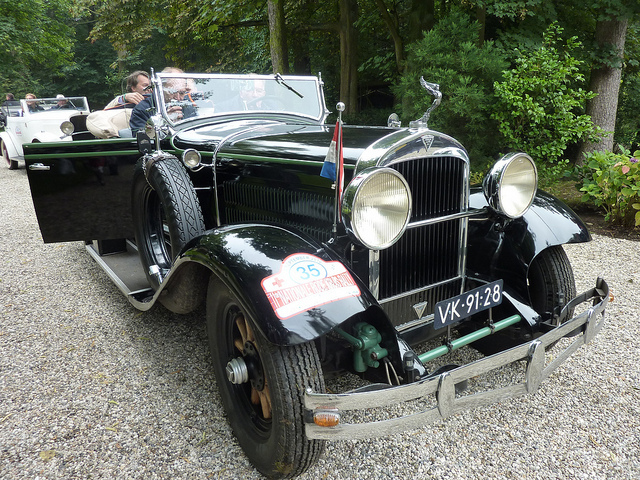 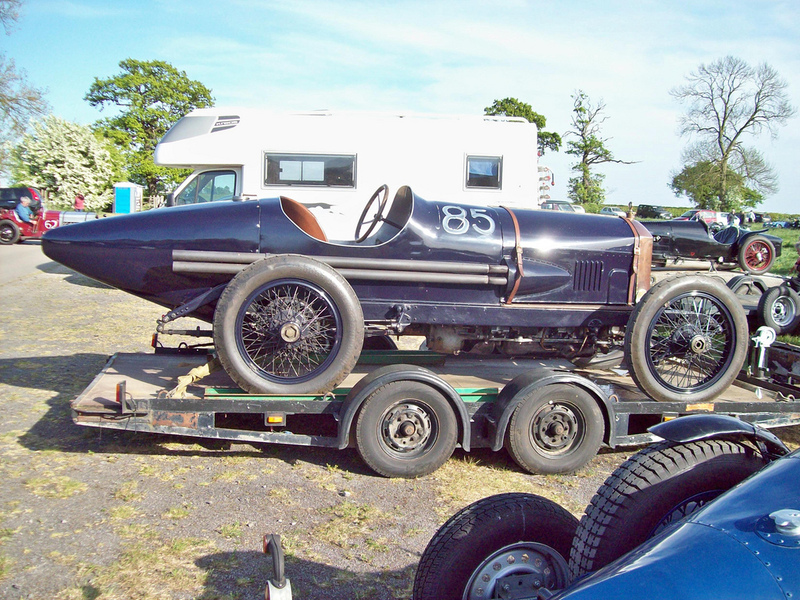 Did you include Railton and Brough Superior ? 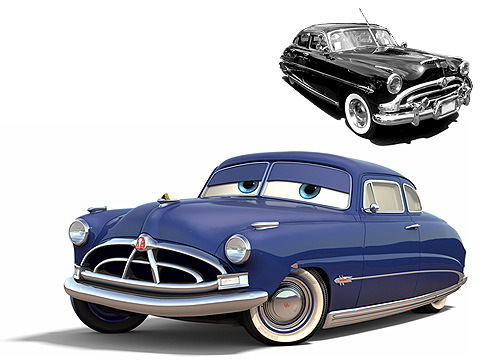 I can’t remember seeing either.